I am fond of saying that heritage conservation (historic preservation) is a process. It is the process whereby a community (however defined and constituted) determines what elements of its past it wants to bring into the future. The process consists of establishing context (historical, architectural, environmental, social), criteria, evaluating resources (tangible and intangible) and then determining how we want to treat those resources in the future. 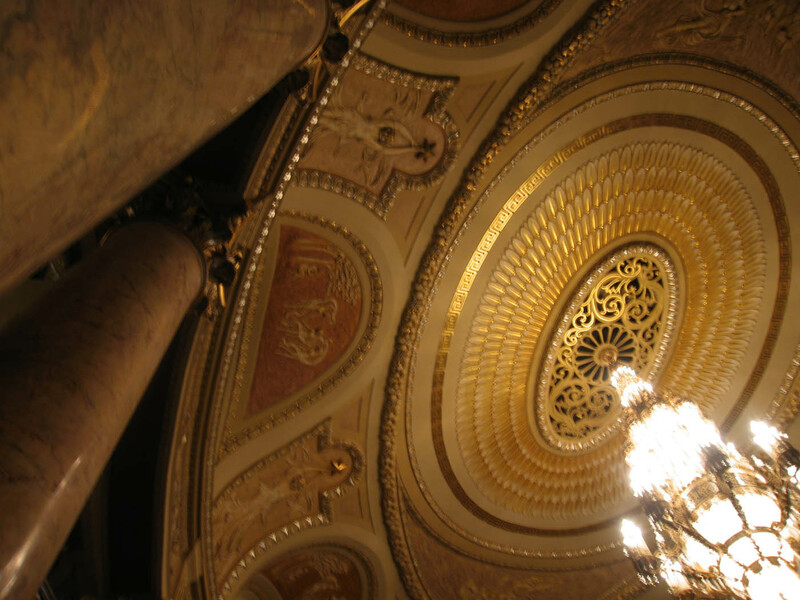 Reportedly the largest chandelier in the United States and the 7th largest in the world. Would you hold a party under this for a 25-year old preservation planner who had been working in the field for less than three years? I will be there again tomorrow. 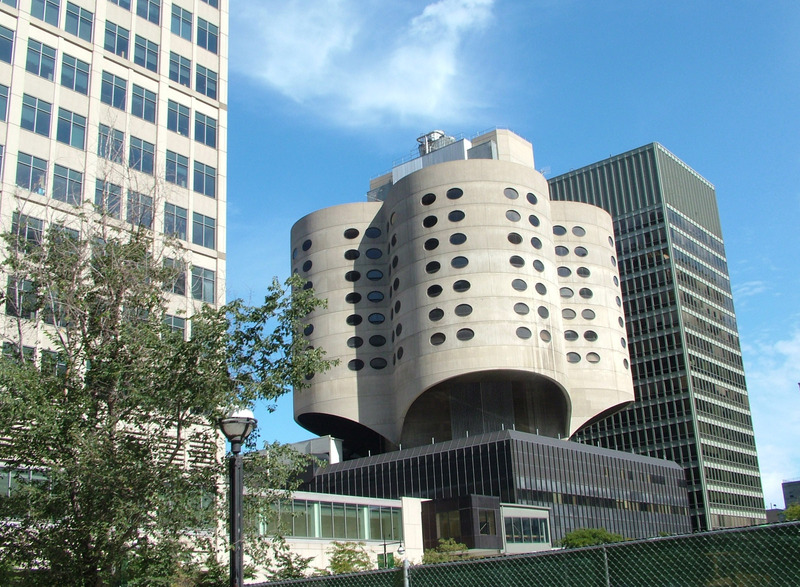 We have been getting questions a lot lately about the wisdom of Prentice Women’s Hospital, one of the National Trust’s National Treasures and the most important preservation issue in Chicago for the last two years or more. 1. It is a bold expression. People love or hate such expressions. 2. It is modernism, and probably viewed as Brutalism by some, and Brutalism has a bad rap, and a bad name, although if we had avoided Francophony and called it Concrete Style it might not have been better. 3. It is modernism, which like modern art, deceives many into confusing what can be VERY difficult-to-achieve simplicity with my-kid-could-do-that simplicity. 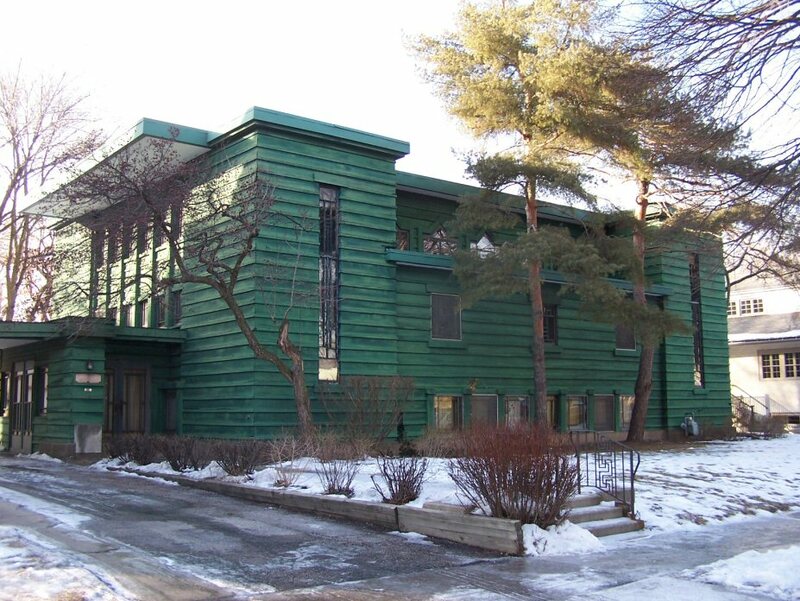 The lack of ornament signifies for some a lack of polish, even though great modernism is much harder BECAUSE of the lack of ornament: scale, proportion and detail are magnified in importance. 4. It was built in 1975. For decades, I have been fond of saying that if you take any American family photo album and look at 1975, people will look their worst, regardless of age or gender, due to a perfect storm of clothing fashion disasters that coalesced that year. 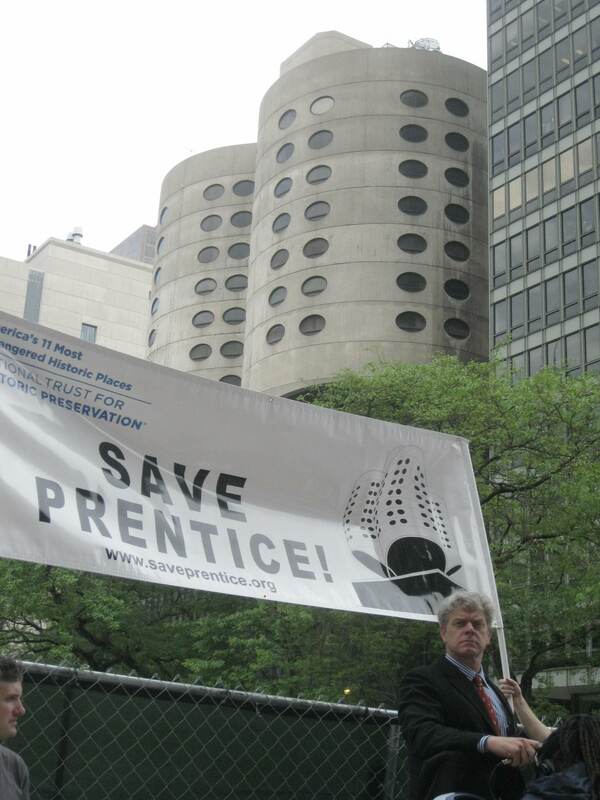 So maybe people are remembering – with appropriate horror and denial – what they were wearing when Prentice was built. But some people will not warm to this building, at least in the near future. As I have pointed out before, it was always like this. People LOATHED Victorian architecture for more than half a century, and Art Deco was anathema as recently as the aforementioned 1970s. This was a slum then. And ugly. Really ugly. Now it is REALLY expensive and REALLY beautiful. There is a second aspect here that affects both the public perception of why we keep certain buildings and streetscapes and landscapes and the professional practice of heritage conservation. Charles Birnbaum just wrote a great blog about the battle over a Brutalist plaza in Minneapolis and he talked a lot about false choices. The first false choice is the one Birnbaum describes. Officials or owners want to tear something down, so they get an estimate of what it would cost to restore it like a museum object. That is always expensive, excessive, and – d’uh – a false choice. Conserving buildings is about adaptive re-use, not museums. The second false choice is between what is there and what might be there. 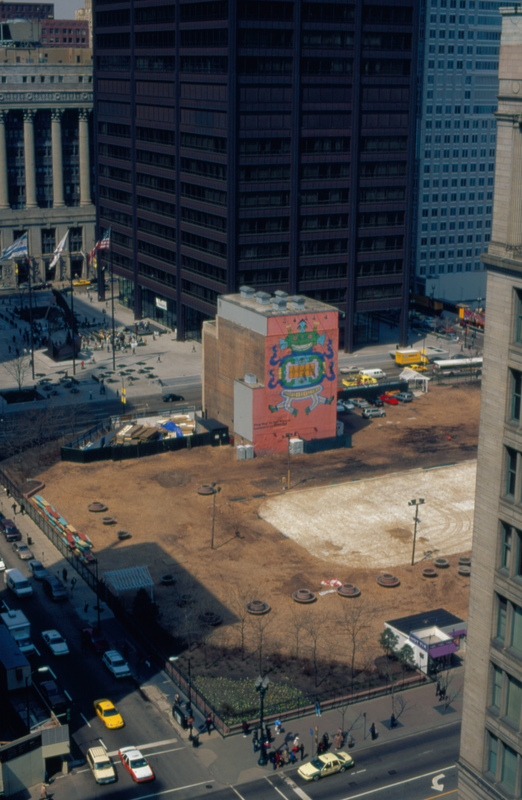 When I worked for Landmarks Illinois and advocated landmarking of buildings and sites in Chicago I always pointed out that the landmarking process was only concerned with whether the site or structure met the criteria, not what it might be replaced with. While this argument gained some traction from the Commission on Chicago Landmarks, it held no water for the City Council, which said it wanted to see what the alternative was. This sword cuts both ways. Sometimes the proposal will swing the pols and the public to the side of preserving because it the alternative is so awful. In other cases it will have the opposite effect, because the new thing looks swell. In the case of Prentice it can work both ways: some commenter said ANYTHING would look better on the site, and Northwestern promises a millions-of-dollars and hundreds-of-jobs Research Center on the site, BUT…. they aren’t saying when, or what, really. The only image they are offering is a green vacant lot with a fence around it. Lovely. Can’t. Wait. One of my favorite vacant lots – Block 37! It was only vacant for 19 years and then it was built on three years ago. And then it went bankrupt! The underlying assumption is that the potential donor who will fund the $200 million research sometime in the next generation or two will PREFER a vacant lot, in order to better envision the new building. Funny thing about it is, leaving the building there gives that future donor at least one MORE option than they would have with a vacant lot. The “blank slate” theory of creativity, which posits – illogically – that it is more creative to imagine something from nothing than something within a context. No, in fact imagining something within a context or within an existing structure is HARDER to do. Go back up there to the “my-kid-could-do-that” argument. Last Saturday, Irena Bakova, Director-General of UNESCO, was in Chicago for a meet-and-greet with local heritage conservation professionals, and last night ICOMOS Director Gustavo Araoz spoke as part of the Chicago Modern: More Than Mies series, presented by the Save Prentice Coalition of AIA Chicago, docomomo Midwest, Landmarks Illinois, The National Trust for Historic Preservation and Preservation Chicago. Both talked about Chicago’s singular architectural legacy and suggested that Chicago would be an ideal World Heritage city. Let that sink in for a second while we review World Heritage. 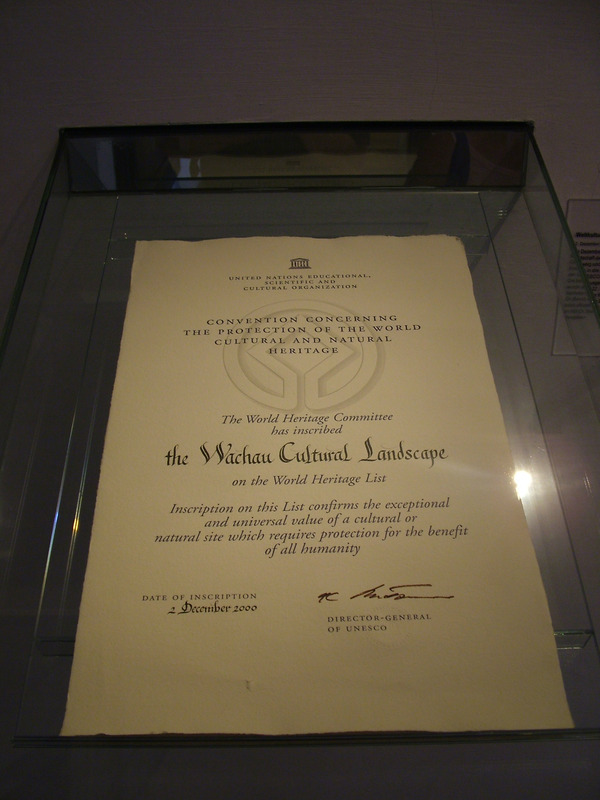 It started back in 1972 as the first international heritage conservation list, one incorporating both natural and cultural heritage. The U.S. jumped in early, inscribing the world’s first national park (Yellowstone) along with several other parks and a number of sites like Taos Pueblo and Mesa Verde as witness to our PreColumbian history. We kind of treated World Heritage like we treated our first landmarks law, the 1906 Antiquities Act, which was largely limited to natural and archaeological sites. 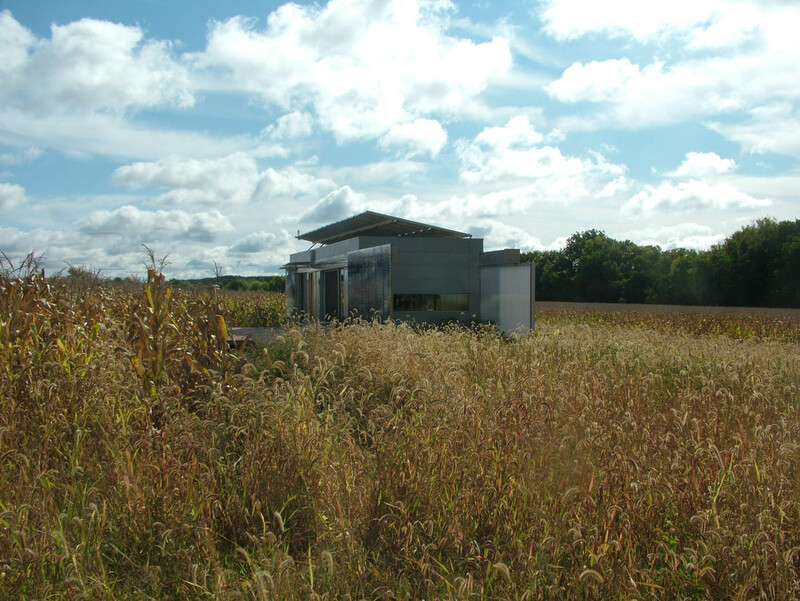 Illinois has more National Historic Landmarks than any other state, thanks to Frank Lloyd Wright and Mies van der Rohe and atomic bombs and other things that helped our region rock the socks off the 20th century. 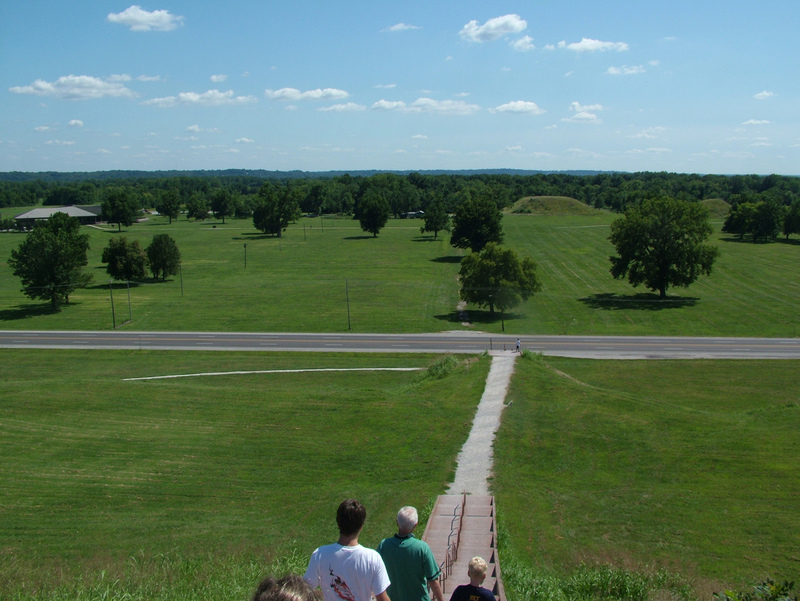 But our only World Heritage site is Cahokia Mounds. pyramids. in Illinois. Metropolis 1010..
Not only that, but the U.S. World Heritage program went into hibernation through the 1990s while the rest of the world was inscribing sites and turning them into tourist attractions while validating and underscoring their own cultural achievements. count the lights – Mexico OWNS us. To be on the list a site must establish universal cultural value, and we have seen the list reflect the expanding diversity of the heritage conservation movement over the years. 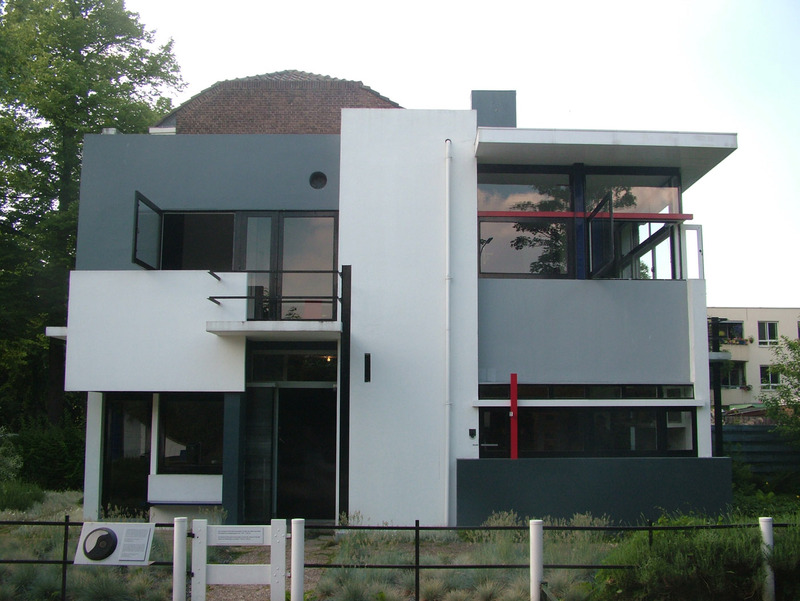 Europe has added significant sites reflecting industry (Falun, one of my favorites) and modern architecture, like the Dessau Bauhaus and Rietveld’s Shroeder House in Utrecht. 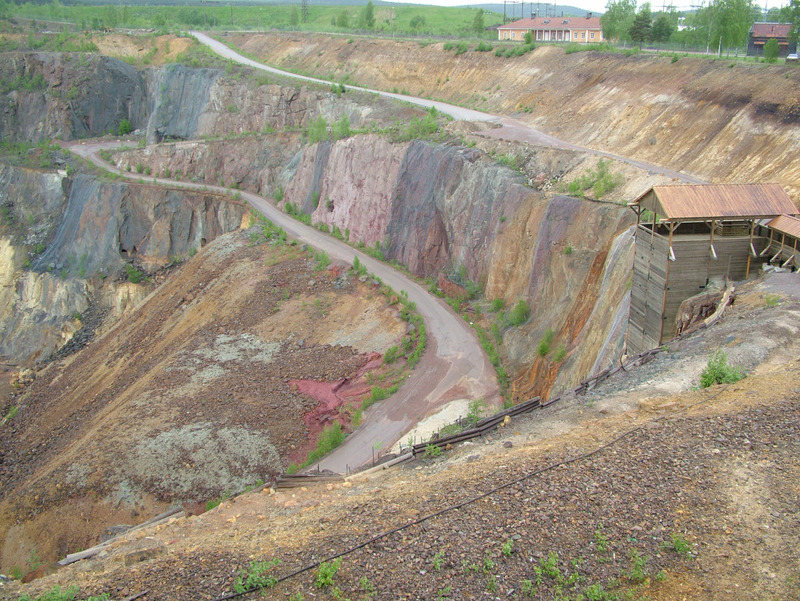 yes, it is a strip mine. 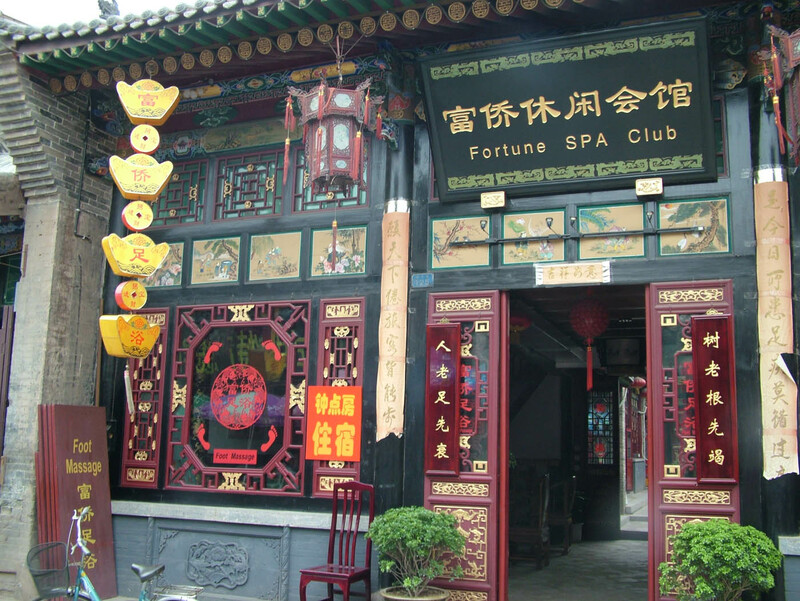 China has listed several whole cities, including of course Lijiang in Yunnan, my favorite touristic monoculture admonition, and Pingyao, the walled city in Shanxi I have written about before. These become tourist magnets following inscription, which has both its good and bad points. 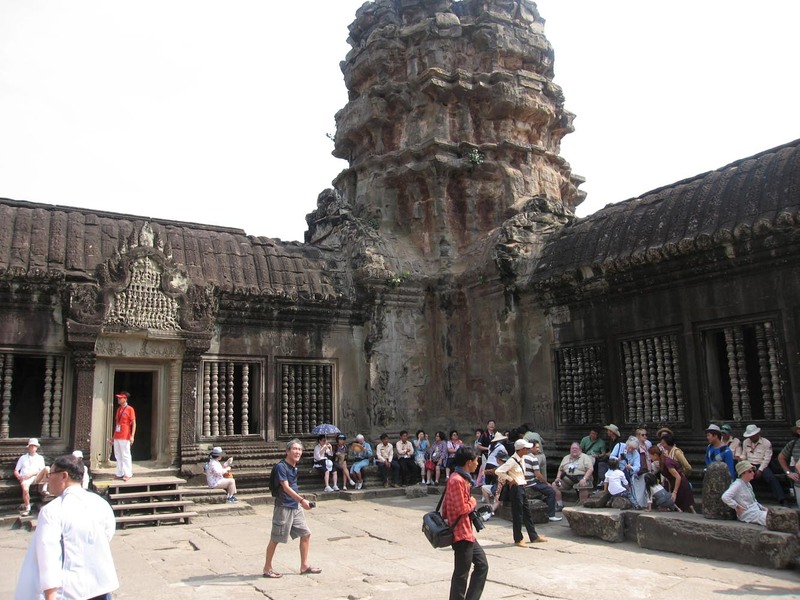 I am just back from Angkor, where World Heritage status and a functional government has watched tourism jump from 1 million to almost 3 million visitors a year over the last decade, causing many to wonder if the famously flawed Khmer engineering can handle the stress. 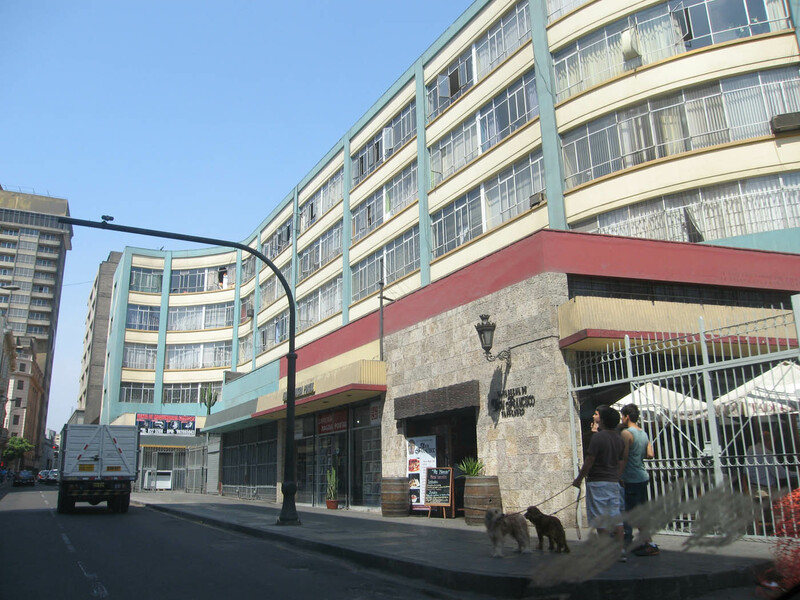 On the other side, we have our work in the World Heritage Cercado of Lima, where the depredations of poverty, disinvestment and even termites still threaten a heritage city where only a portion is considered safe for tourism. 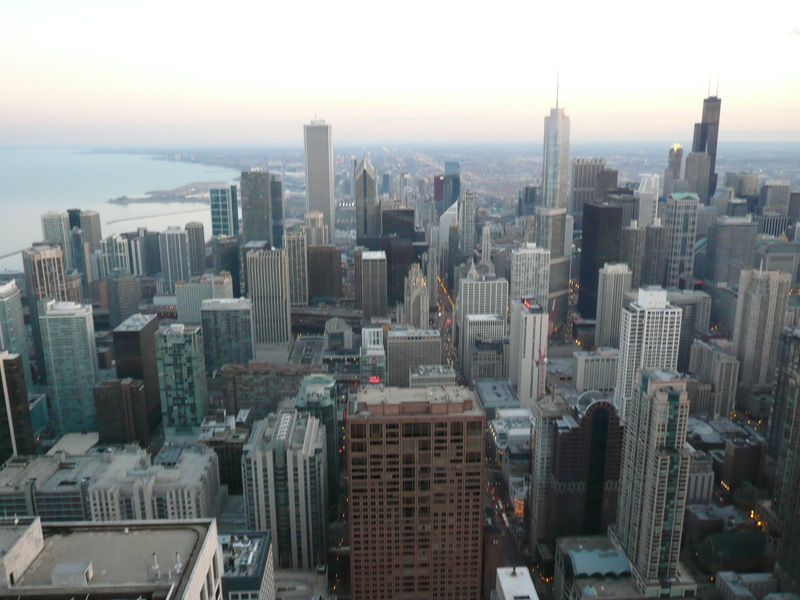 So what does all this portend for Gustavo’s suggestion that Chicago become a World Heritage city? Of course, you have the huge World Heritage problem that such status requires full owner consent, and Chicagoans are Americans who are loathe to lose even a toothpick from their bundled property rights. But Chicago easily meets the criteria. We invented a new kind of architecture in the 1880s with the skeletal frame highrise and that technology and type traveled the entire world and is still how we build high today. 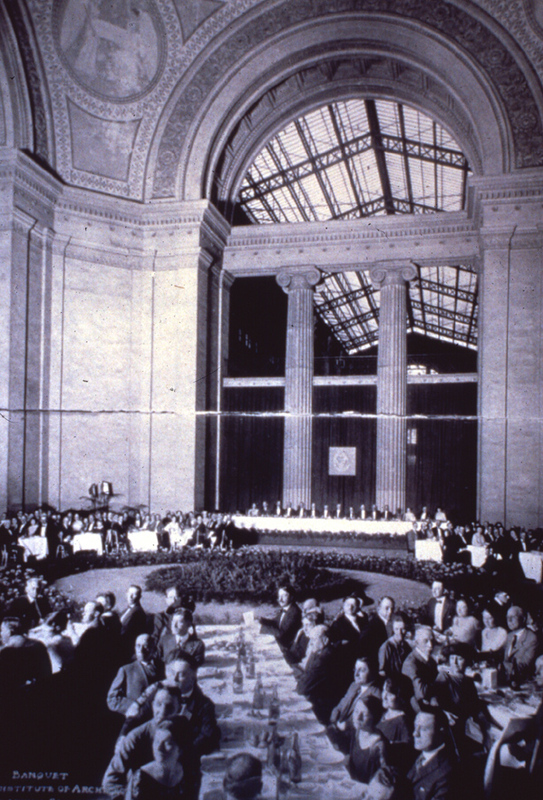 We hosted the brightest talents of modernism and gave the world the 20th century discipline of city planning. The contributions have outstanding universal value, to be sure. No one doubts this, and it would be a brilliant move by the Mayor since the city is trying to build its international tourist appeal. Do you know that Newark, N.J. gets half a million MORE foreign tourists each year than Chicago? Can you explain that in an objective way? Would Newark qualify for World Heritage status? 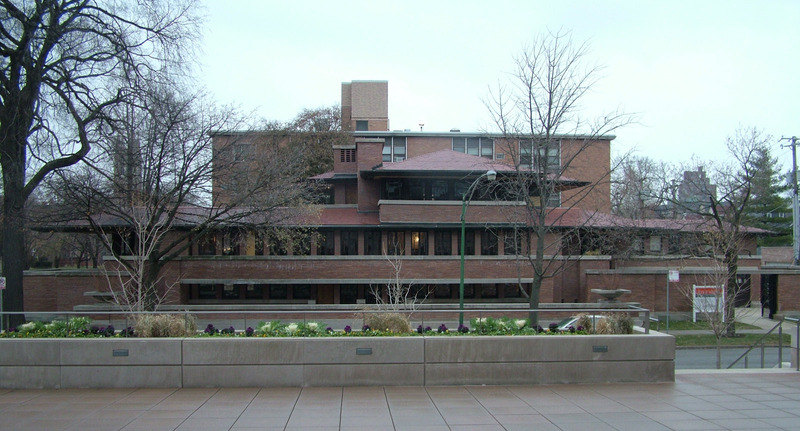 In the meantime, we are finally playing a bit of catch up, proposing a list of 10 great Frank Lloyd Wright Buildings, including Unity Temple and Robie House (it is a good list) and slavery sites and a few others that will bring the U.S. in to the 20th century in terms of cultural conservation and World Heritage. 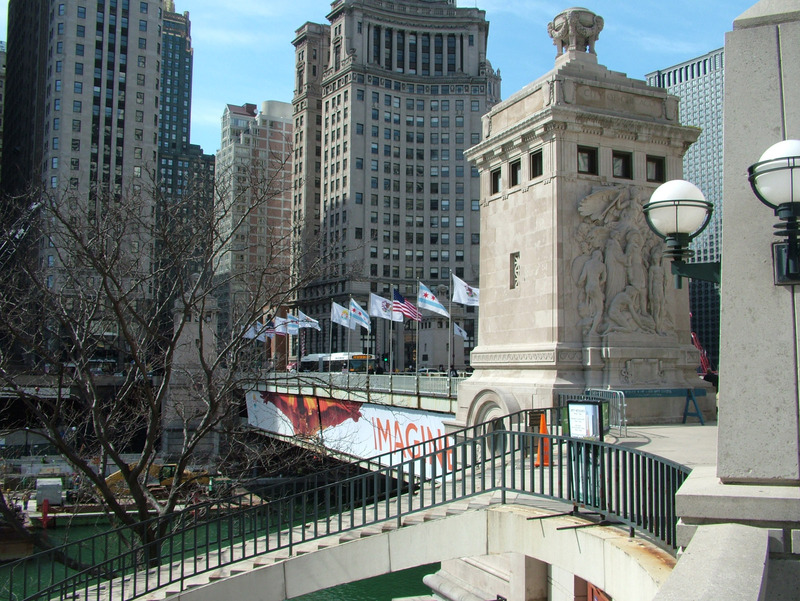 Chicago’s city inscription may have to wait until we join the 21st century. 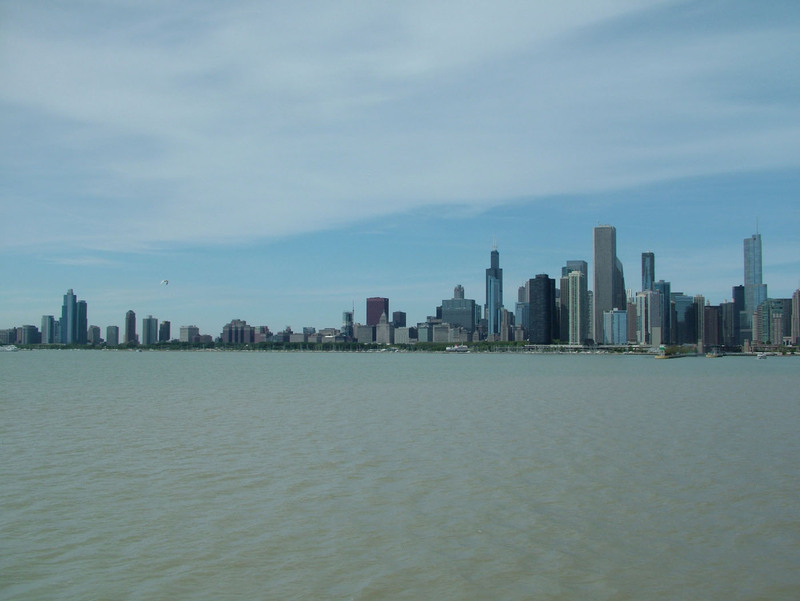 Despite appearances to the contrary, I am in Chicago more often than not, and it has been a while since I updated this blog on the key preservation issues in the city and region. 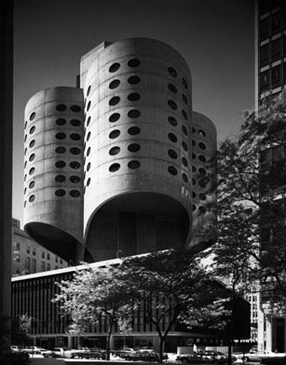 The reigning issue for the last two years has of course been Prentice Women’s Hospital, a breathtaking flower of the union of engineering and architecture designed by Bertrand Goldberg in 1974-75 and slated by Northwestern University to become a vacant lot. The National Trust made it one of the nation’s 11 Most Endangered Sites last June (I made the announcement) and now the trinity of preservation organizations, the Trust, Landmarks Illinois, and Preservation Chicago, are promoting both a series of CTA subway ads for Prentice and a contest to SHOW PRENTICE SOME LOVE for Valentine’s Day! 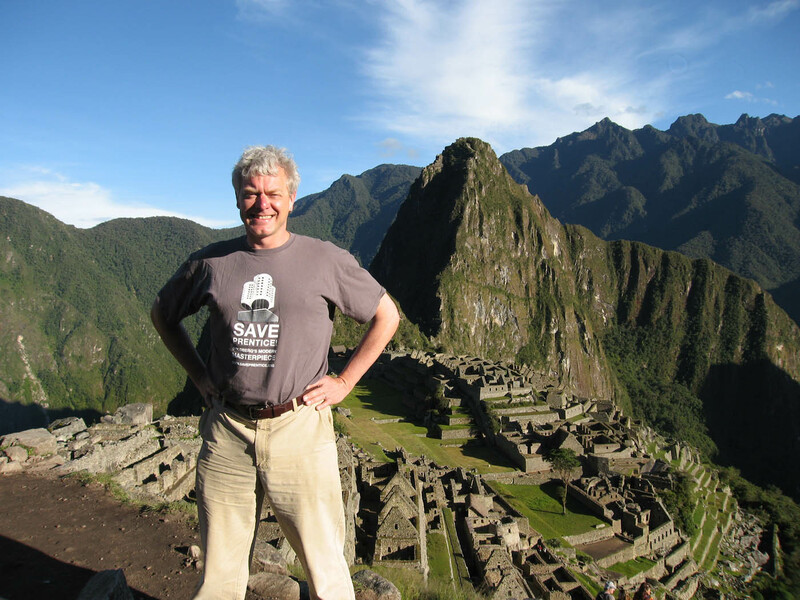 My job is to wear my Save Prentice t-shirt at major sites across the globe and I got a good start at Macchu Pichu last month. Planning on Angkor Wat next month. The subway ads are cool, especially since they coincide with the L platform ads for the new building at Rush, which focus on its four-lobed shape and the ease and convenience and quality of care this floorplan provides. And it is the same floorplan designed for the same reason at Prentice. What is old is new again. As I said before. Quibble a bit? Yes the new one is bigger and the lobes more attenuated and the plan more focused on private rooms because that is the way the sick roll in 2012. But the ideation and justification are the same. Now we just have to get Mayor Rahm Emmanuel’s attention and see if he wants another tax-free vacant lot a block away from North Michigan Avenue. 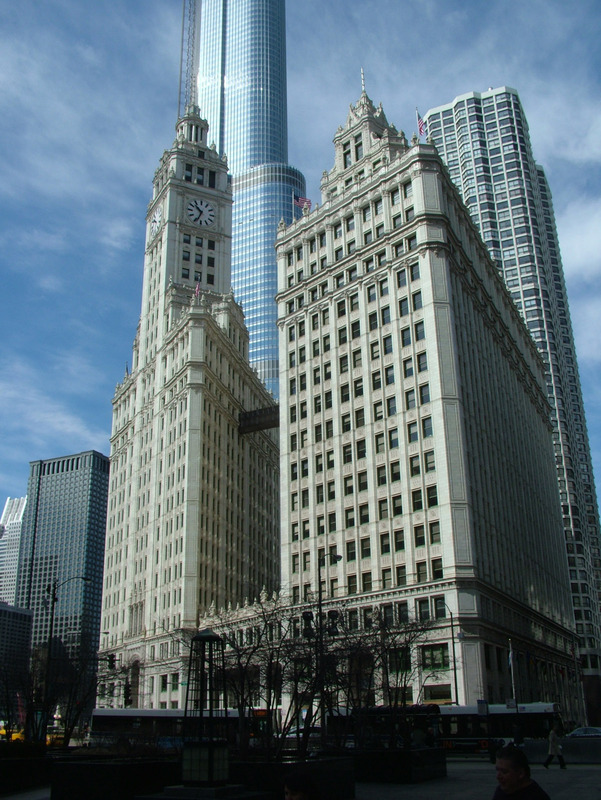 Speaking of North Michigan Avenue, the Wrigley Building is finally being landmarked after 25 years – I recall collecting petitions from famous architects and historians and urbanists back in 1987 when it was first proposed for landmark status. It took a new non-Wrigley owner to finally make it official. The Tribune ran an editorial last week about the travesty of the Soldier Field rebuilding in 2003 and used an illustration of Landmarks Illinois’ 2001 alternate plan that would’ve given the Bears a field big enough to host a Super Bowl. I guess we don’t need a Super Bowl, what with G-8 coming and all…nice to know that Landmarks Illinois’ great alternative use plans are still being remembered. Wonder how our plans for Prentice will be looked at years from now? What else? 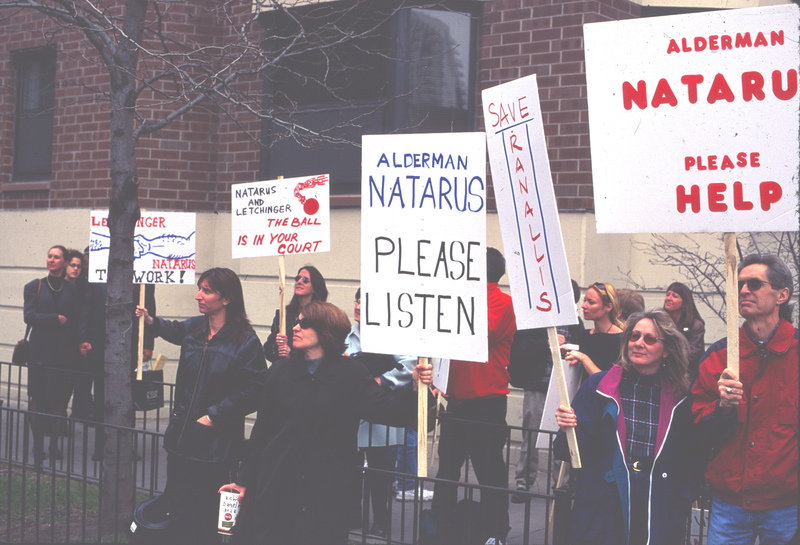 Tomorrow we are having a discussion on historic preservation “This is not my Beautiful House: Historic Preservation and People’s History” at the Jane Addams Hull House Museum with activist and researcher Roberta Feldman, National Trust Sites V.P. Estevan Rael-Galvez, architecture critic Lee Bey, and longtime preservationist Mary Means. I am the moderator. I will be moderate again this May when New York Times architecture critic Paul Goldberger and Lee Bey (again) hang out in Harry Weese’s 17th Church of Christ Scientist for the Chicago Modern More Than Mies series, also coordinated by the inestimably talented Christina Morris of the Chicago field office. 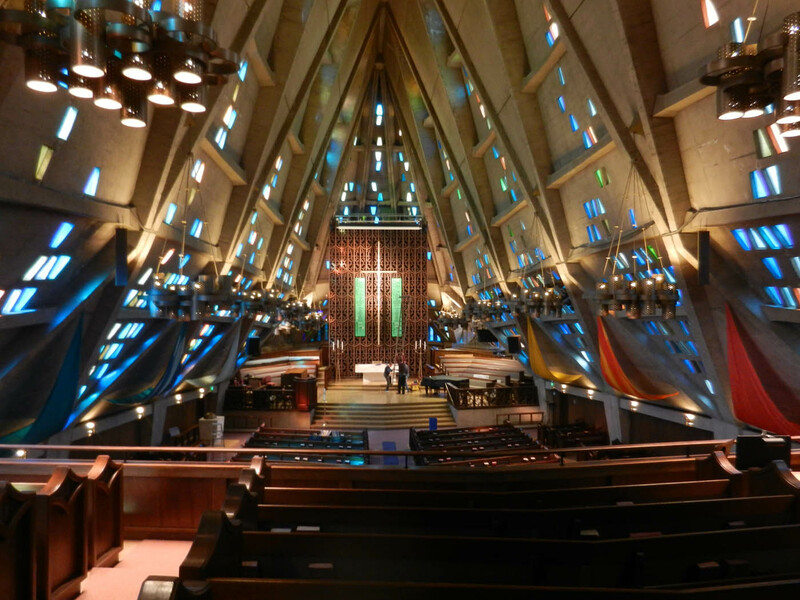 I wrote so many posts on Modernism last year because it is the HOT thing in preservation and shows no sings of slowing down. yum. oh, that’s palo alto.. 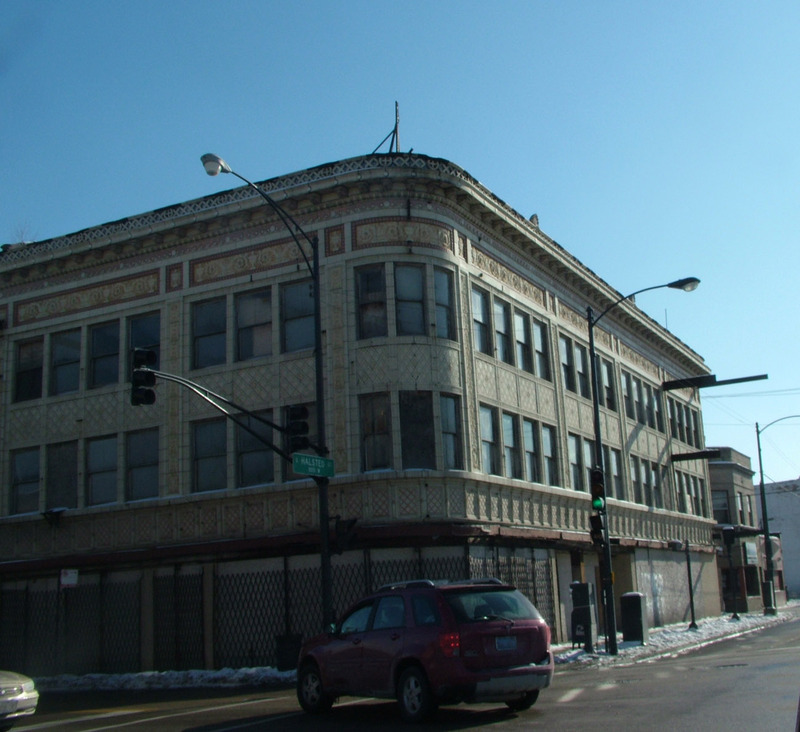 Speaking of Lee Bey, he posted on the collapse of a fabulous city-owned terra cotta building last week in Auburn-Gresham at 79th and Halsted. I knew the building because it was part of the neighborhood tour we designed down there in 2009 and it ticked a lot of people off that the city owned it for a decade and let it fall down. Up in Park Ridge they finally have a landmarks ordinance and managed to save the Alfonso Iannelli studio building, after having lost one of the Byrne-Iannelli Cedar Court houses four years ago (blog here.) 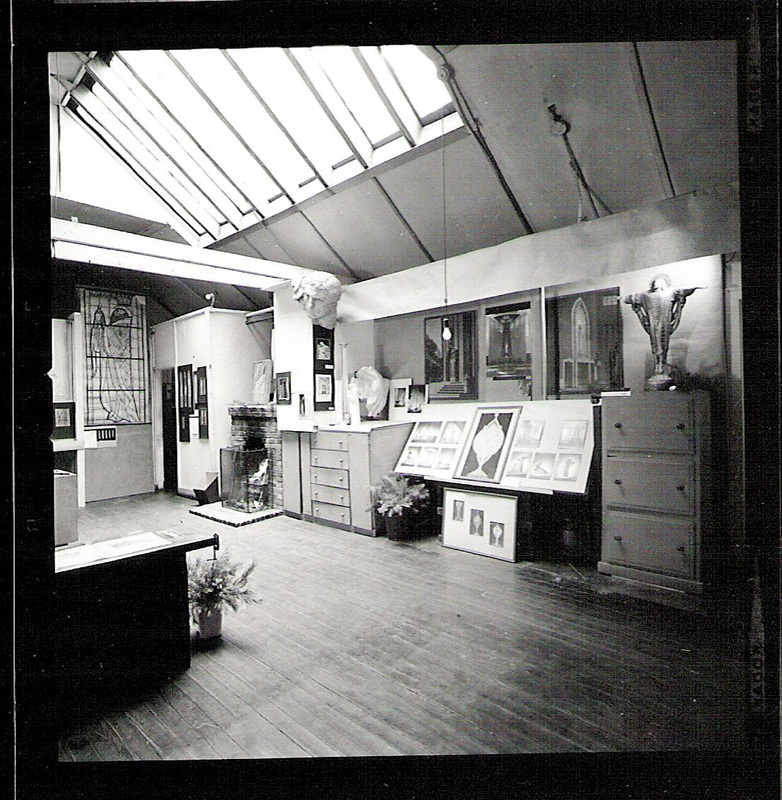 Here is a photo of the interior of Iannelli’s studio during its heyday, thanks to the unparalleled David Jameson of ArchiTech Gallery. 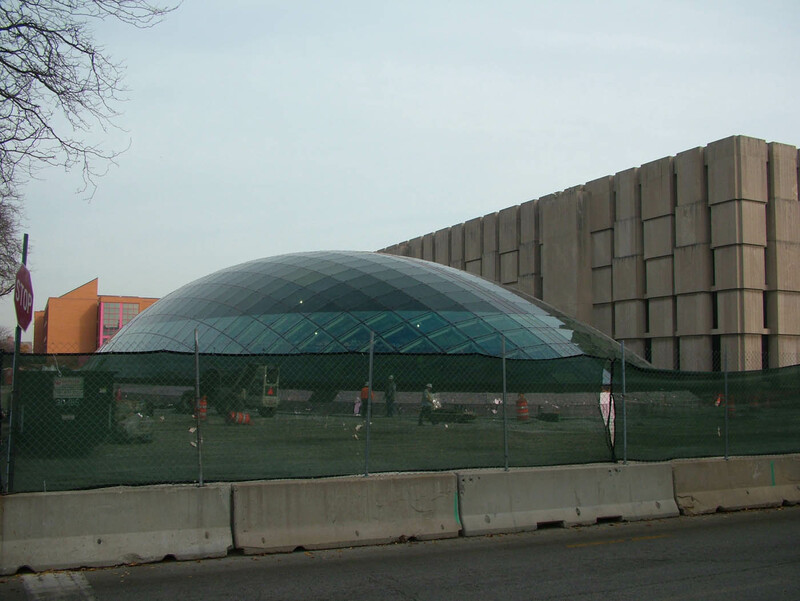 I visited one of my favorite “mystery” buildings in Chicago, The Forum at 43rd and Calumet. 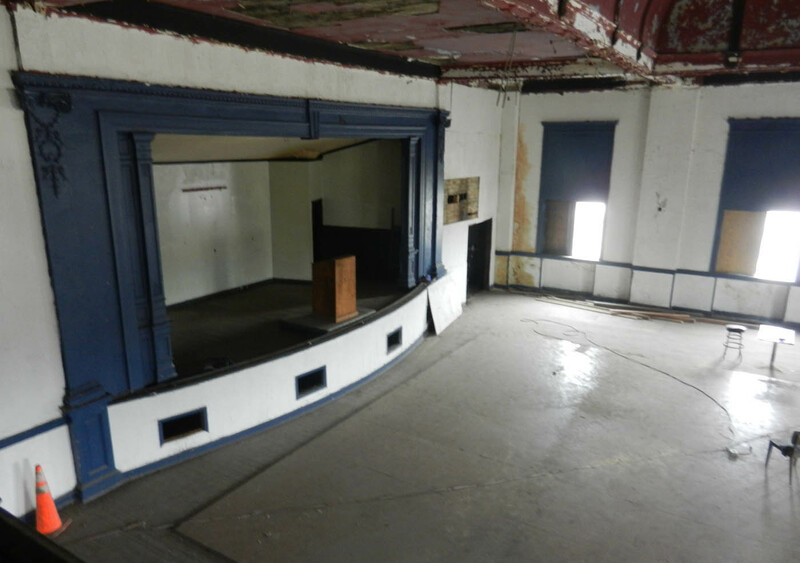 It has a fabulous second-floor theater space that is remarkably intact and is going to be redeveloped by Bernard Loyd, who is doing similar work on 51st Street. 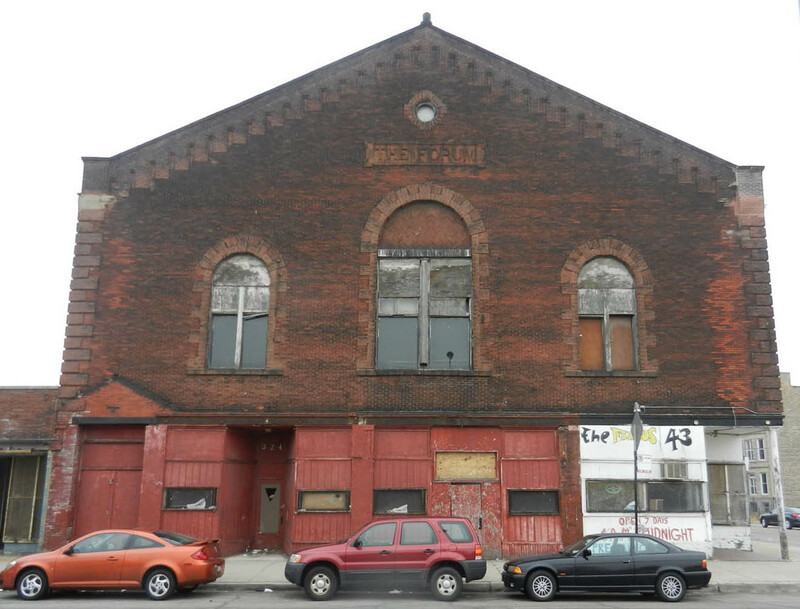 The mystery of The Forum, built in the 1890s, is that no one has yet found an original permit or architect for this neighborhood assembly hall, not dissimilar to Thalia Hall in Pilsen or Yondorf Hall in Old Town in inspiration. 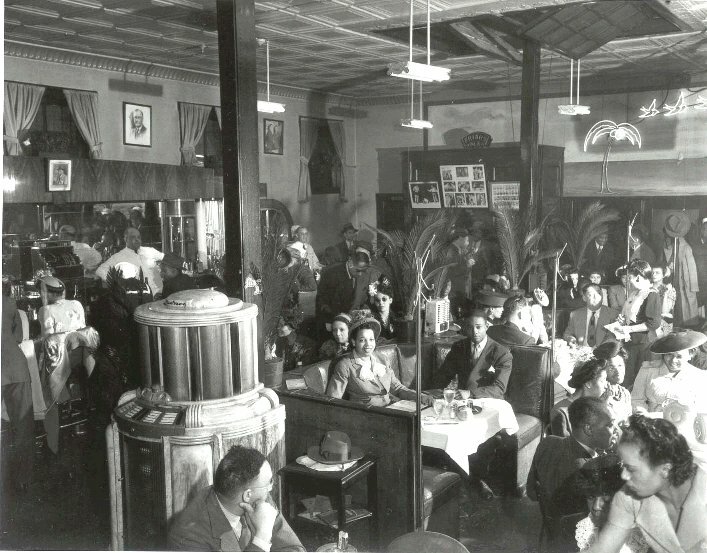 We have tons of information about its later use as a vital piece of Bronzeville culture, hosting shows by Nat Cole and others and eventually becoming a home to the black Elks. I thought it might be Patton & Fisher and did a bit of research a year ago but no luck. The cool thing about it is that it is almost the ONLY historic cultural venue left on 43rd Street. The other cool thing is that Bernard is employing 21st century heritage conservation in his projects. 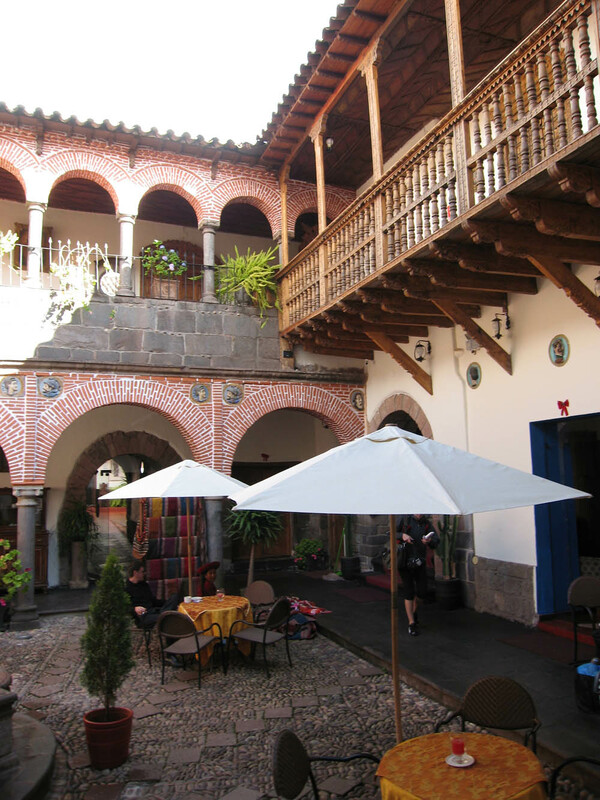 He didn’t call it that, but I was struck by how he was integrating gastronomy, cultural performance and other aspects of intangible heritage into his programs for revitalizing buildings. This is the same thing we are doing in Peru and China, and it is the basis for the discussion we are having at the Global Heritage Fund about moving into the next phase of heritage conservation, a multi-level interactive development platform that unites the attractions of past and present cultural expressions to actualize a diversified (sustainable) economy that reinforces existing cultural and social investments while enhancing external attractions. Historic buildings revitalized with programs based on local cultural traditions attract both local and outside investment and tend to be more stable over time. That’s true in Chicago and Pasadena and it is true in Pingyao and Cusco. Darn. I was trying to focus on Chicago and no sooner do I get to 43rd Street than I’ve gone global again. But now you know why. Howard Reich had an interesting article in the Tribune the other day about the loss of three great Blues statesmen in 2011: Hubert Sumlin (age 80), David “Honeyboy” Edwards (age 96) and Pinetop Perkins (age 97). The article “Twilight of the Blues” laments the loss of a once-vibrant local cultural expression to an esoteric rarity along the lines of Gregorian chant; Appalachian folk and Bee Gees’ disco. 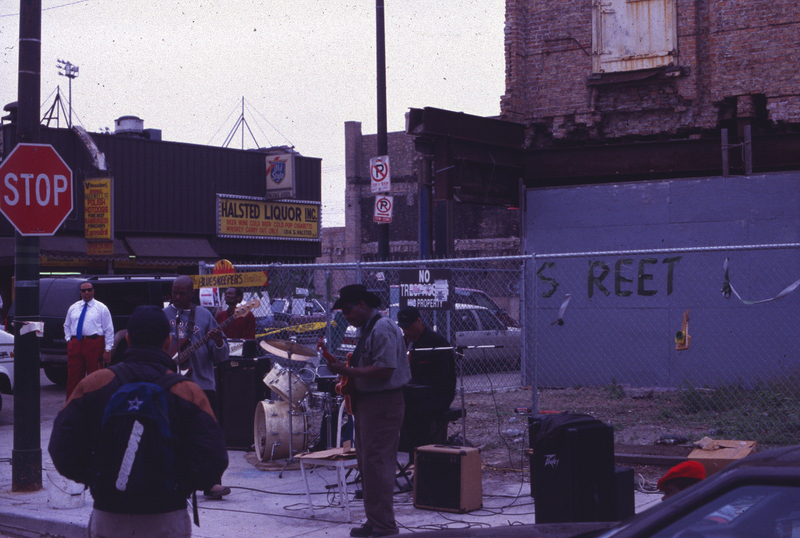 I blog a lot about the important role that intangible heritage plays in modern heritage conservation, and how international charters over the last two decades have started to embrace this phenomenon and I recalled how in 1987 the French newspaper Le Monde celebrated Chicago’s two great contributions to world culture: the blues and architecture. Some might argue that Chicago architecture is not as innovative and lively as it once was, but there is still architectural vitality here and it still makes the papers and television and internet, whereas the blues has become a sort of quaint commodity you have to seek out – we have a couple big blues clubs on North Halsted that cater to tourists, and heck, I even played there one night many years ago, but the classic south and west side clubs that the Rolling Stones and others sought out in the 1960s and 1970s are mostly gone. House and rap replaced the blues as a folk expression decades ago. The challenge of preserving intangible heritage is being addressed by blues camps led by Fernando Jones, and I recalled meeting him 20 years ago when he came to my office at Landmarks Illinois with his book “I Was There When The Blues Were Red Hot” and his enthusiasm for preserving this incredible aspect of Chicago’s – and the world’s – cultural heritage. I am sure I disappointed him then for I was focused on architecture and buildings and had no inkling about saving intangible cultural heritage. This isn’t just about prophets without honor in their own country, although it was always that way. When the Rolling Stones visited – and recorded in – 2120 S. Michigan Avenue in the 1960s, they had more respect for bluesmen than Chicagoans did at the time, and it was Keith Richards and Mick Jagger that paid for Sumlin’s funeral this month. 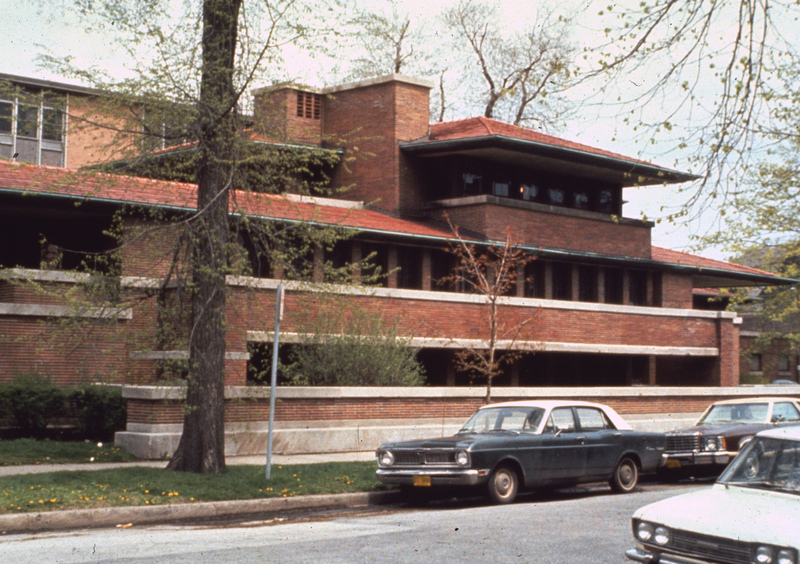 I suppose it was that way for some of our architectural heroes like Louis Sullivan and Frank Lloyd Wright – ostracized from the city or out of the mainstream for key parts of their professional careers. What does it mean? In part it verifies the importance in heritage conservation of addressing both tangible and intangible heritage: both arise as phenomena with the 19th century rise of industrialization and urbanization and both reflect the loss that we experience when we cross the line from tradition and community to modernity and commodity. Culture is no longer a communal product but a consumer product. It is more than fashion, and yes, the blues lives on in rock and roll just as Wright’s Prairie Houses lived on in bungalows and foursquares, but it is that sense of loss that leads to the impulse to preserve. It is never preserved in the sense of being the same or even looking or feeling the same: tangible and intangible heritage are preserved as understandings of significance; elements of civic or communal identity and rootedness; and repurposed places of remembrance. Heritage conservation is more than memorialization and addressing the sense of loss; it is attempting to bridge the gulfs that can open in society. There it is. My perfect Greek temple, the ultimate expression of art in nature, of architecture. 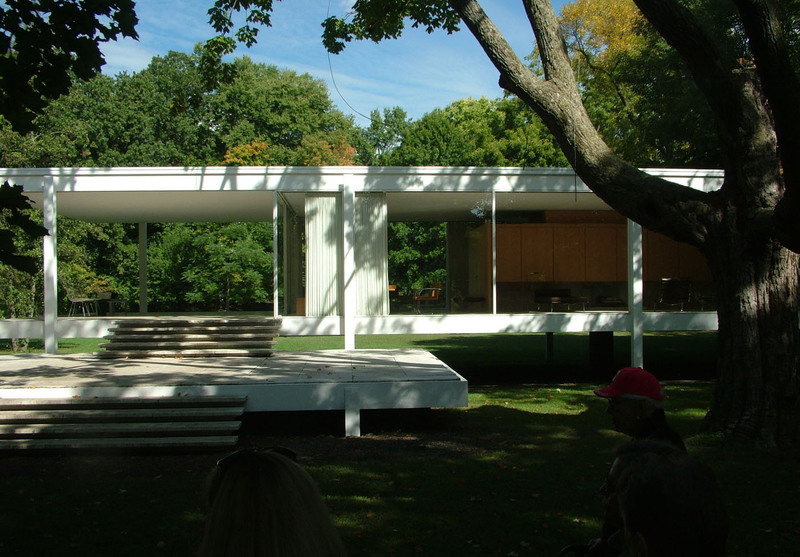 Mies van der Rohe’s Farnsworth House. Great art and great architecture work like this: you can visit it a hundred times and you see something new, learn something new, feel something new every single time. I discover it every time at Unity Temple and every time at the Farnsworth House. In the video we show visitors, John Bryan says there is no building more important in modern architecture. Dirk Lohan calls it a poem. 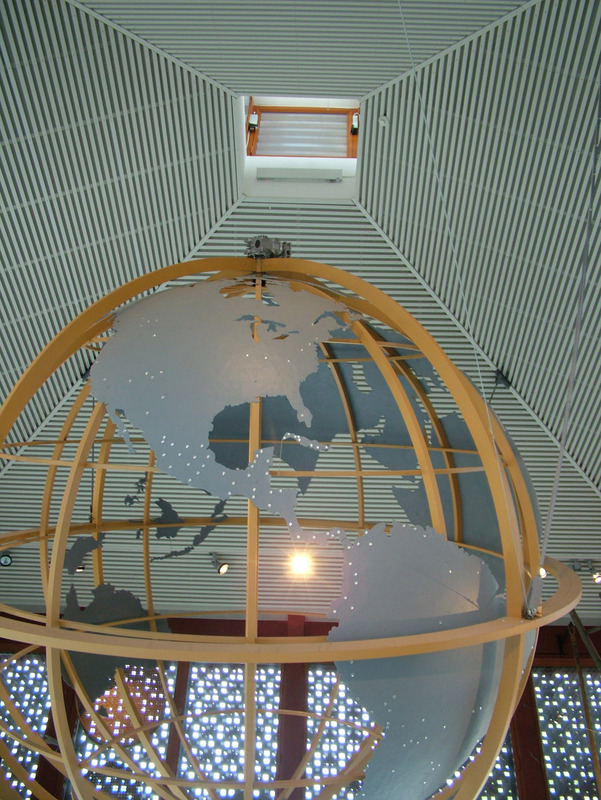 It is a beautiful and perfect chord, a wonderful harmony of steel and glass and white and light wood and it floats above its site, resting loosely on the world, ready to rise like sound. It is the autumnal equinox, which means the tourist season at Farnsworth House has 60 more days, and the attendance has already surpassed last YEAR, which was the highest attendance EVER, and all this despite the challenges of rebuilding from a 2008 flood, the shift of operations from Landmarks Illinois to the National Trust, and the challenge of trying to complete several repair projects, some of which were funded years ago. 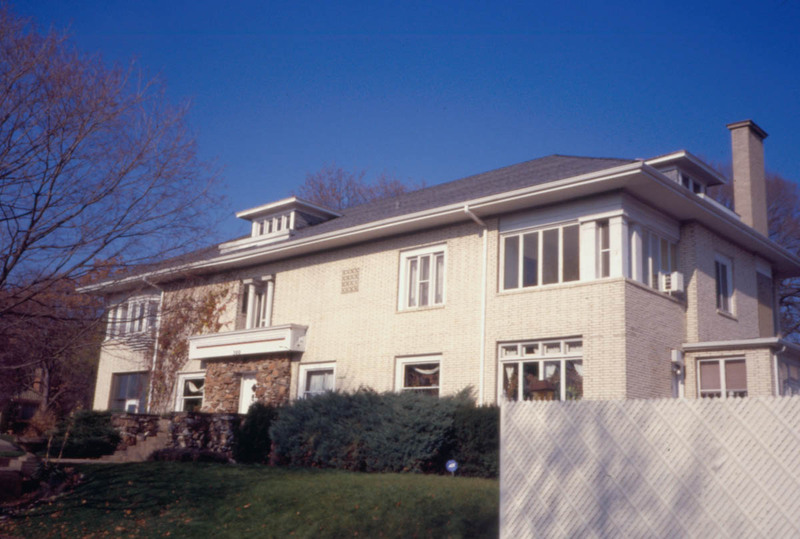 The house is about its setting, and the National Trust and Landmarks Illinois, under the leadership of John Bryan, secured the house at auction in December 2003, saving it from being dismantled and moved away from its Fox River location. That location means floods, six of which have reached into the house over its 60 years, each officially a “100-year flood”. 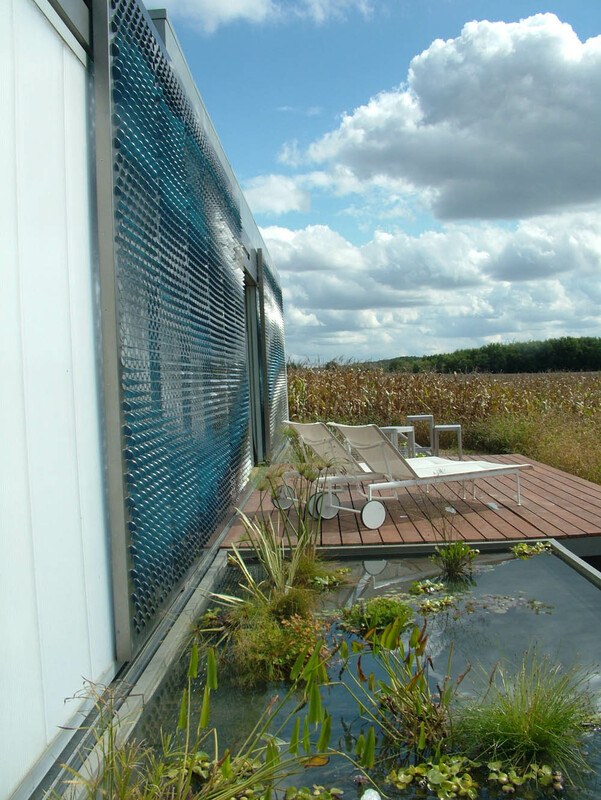 Many would like to move it to save it from future flooding, but it was built for flooding. 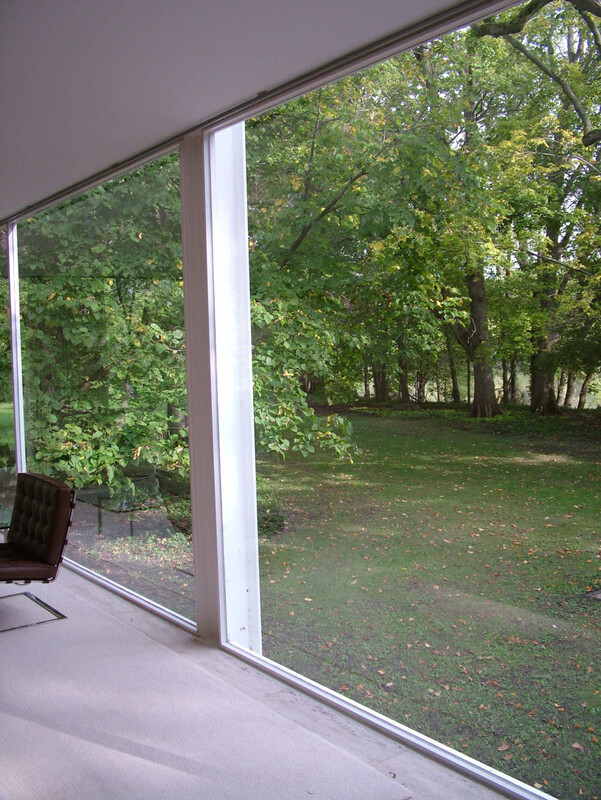 It is steel and glass, designed and molded with the perfection that only Ludwig Mies van der Rohe could muster, his unerring precision modulating every element from the smallest window profile to the placement of I-beams that seemed magnetically attached to the deck and house, a floating and dynamic glass house that is about nature but also, so clearly and musically, about floating above nature. I brought tours groups there Thursday and Friday and they loved it. Part of what is bringing the attendance numbers up is the creative programming that Site Director Whitney French has done, including the installation this summer of Virginia Tech’s Lumenhaus, an energy-positive portable house that not only produces more electricity than it consumes, but also recycles all of its grey water by means of ponds and plants that line the deck surrounding its sunshades and solar panels. 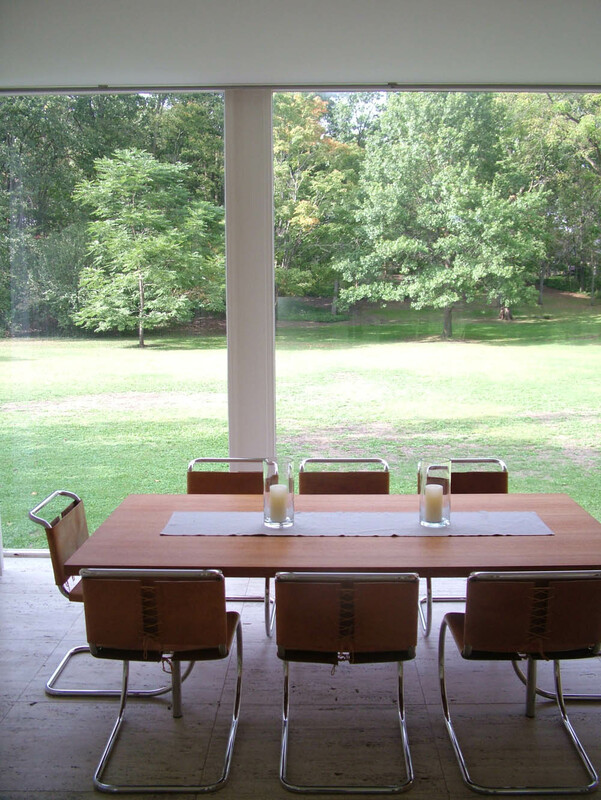 Lumenhaus was inspired by the Farnsworth House, as was the National Trust’s Philip Johnson Glass House in New Canaan, Connecticut, designed by longtime Mies associate Philip Johnson and completed before (but designed after) the Farnsworth House. 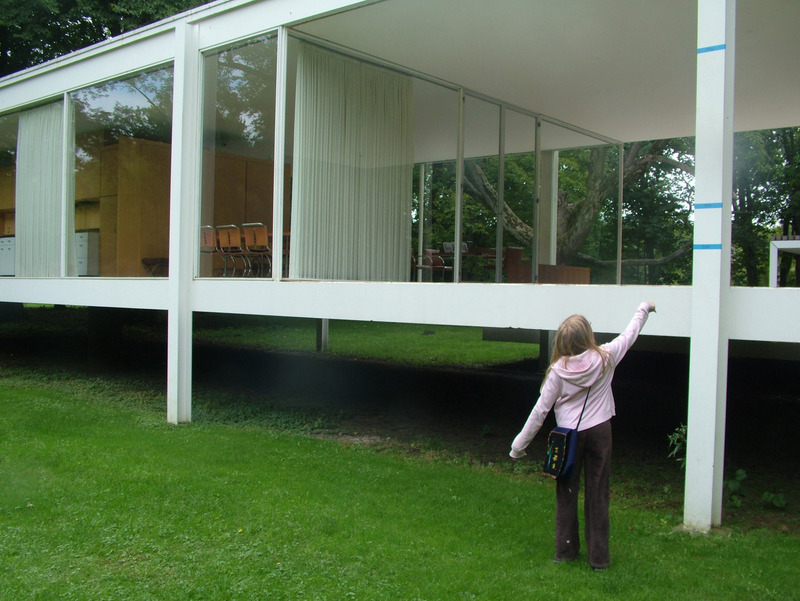 If you read this blog much, you know I am pretty down on house museums. I am Chair of the Historic Sites Fund subcommittee of the National Trust for Historic Preservation, and I have studied historic sites all over the country over time and I know how hard it is for a site to make sense economically based on tourism and ticket sales alone. Ticket sales historically rarely exceed 20% of operating costs, so you need a vigorous and successful combination of bookstore/shop sales, special events, rentals, and installations like Lumenhaus that make the site NEW again every year or season so people keep coming back. 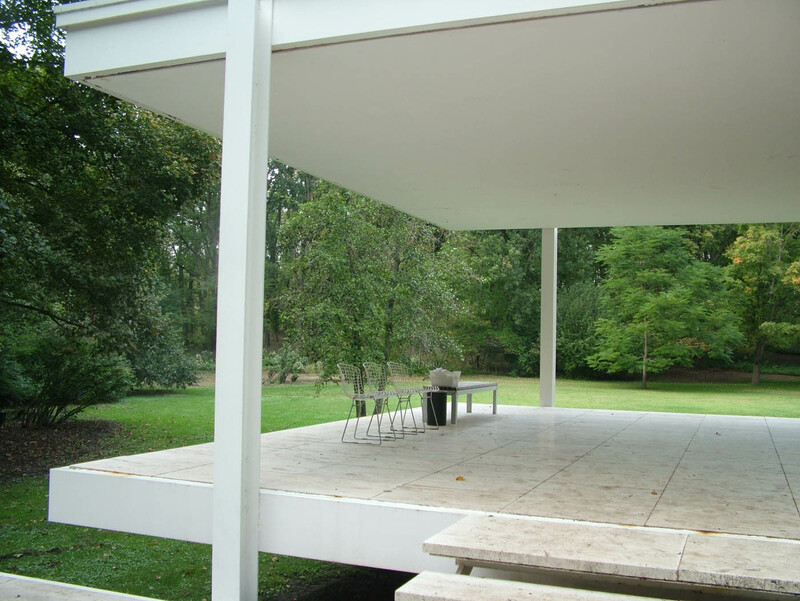 I think Farnsworth House is one of those rare sites, like Robie House or Fallingwater or Monticello, that can make sense as a house museum. No matter how beautiful, how rich and resonant a piece of architecture is, it still takes the creativity and 24/7 dedication of people like Whitney French to make it a success. The Farnsworth House is getting there. But that isn’t who we are. Never was. I was reminded of the wise challenge my dissertation advisor Bob Bruegmann gave me years ago when he asked if I could write a history of preservation that had nothing to do with laws. I couldn’t, really, but I could show that tons of preservation was happening in a lot of places long before there were any laws. 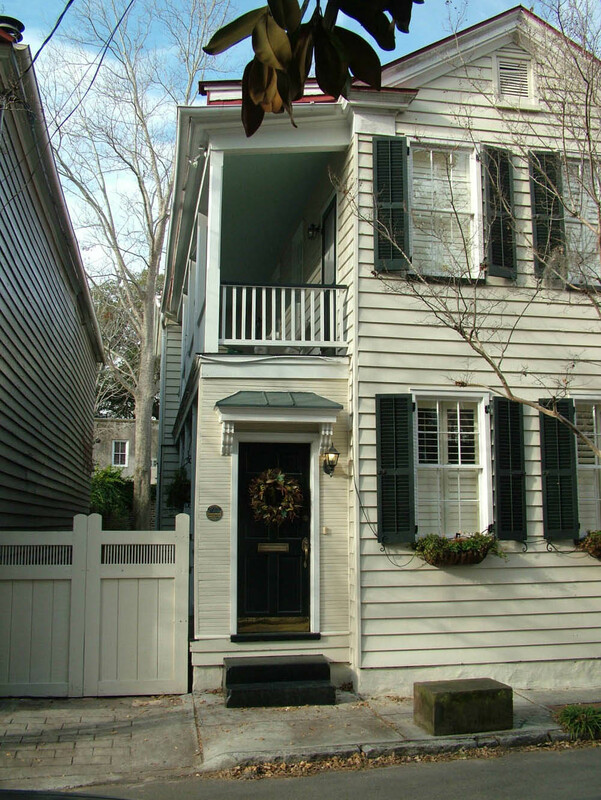 The laws came LATER as an expression of the public will to preserve, especially in historic districts. This occurred to me as I rode past the Mallen House in Oak Park, a few blocks from my home, and saw this amazing excavation going on. The owners of this lovely 1904 George W. Maher Prairie Style house have been restoring it for many years, and they are extremely meticulous, detailed, and accurate about the restoration. The building had been heavily altered in the past – it wasn’t even featured in the second, 1990s version of the FLW Historic District book. and they are slowly but surely bringing it back. 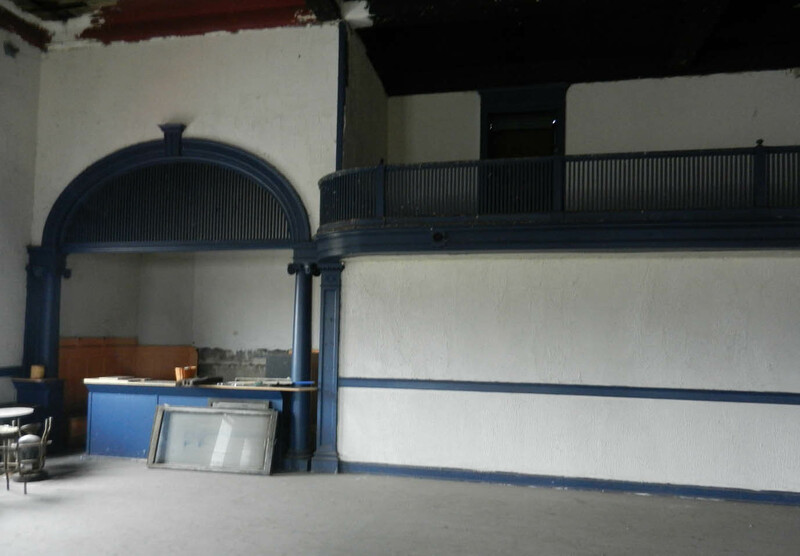 This restoration is not happening because Oak Park has a local preservation ordinance, or because there is something about either the local or National Register historic district that requires this. No preservation law requires an owner to restore their property to the way it was. Got it? 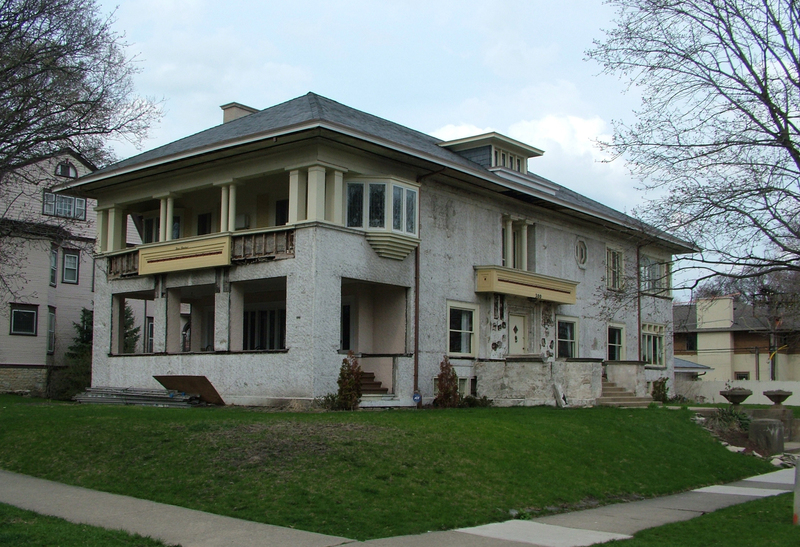 If your property is in a historic district and the cornice is missing, or a previous owner added rubble stone facing to the entrance or blue aluminum siding you can go ahead and keep it that way. 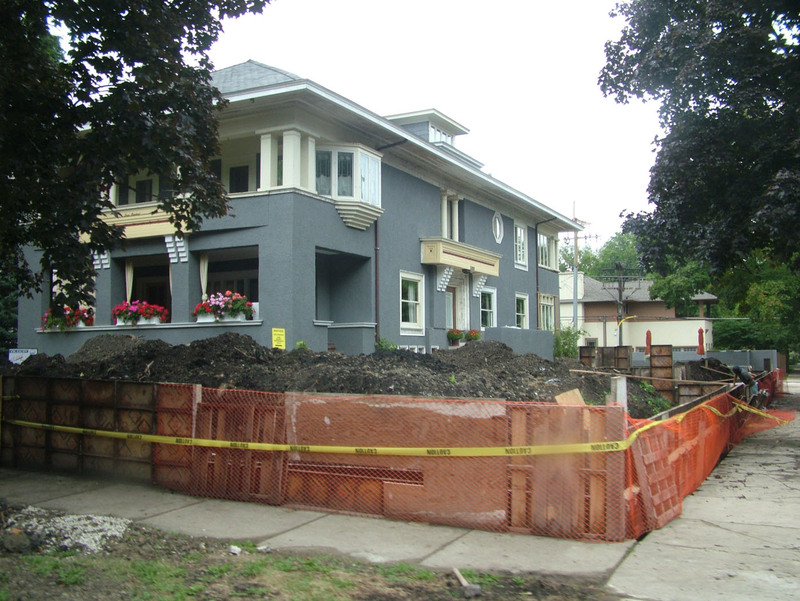 Preservation laws might make it difficult for you to tear down your house, but even in Oak Park they can’t prevent owners from making a variety of changes as long as those changes don’t amount to a demolition of a significant portion of the property. And no laws require restoring the building to an earlier version of itself. The National Register of Historic Places was created in 1966 to help save buildings and districts threatened by massive government projects, notably highways and urban renewal. The National Register has no say over private projects, and even in the federal project situation, restoring an original design is rarely required. In historic districts especially – which is where landmarks laws began – the goal is to discourage demolition, not to restore. In fact, the goal of our entire movement is more appropriately to re-purpose significant elements of the past to make them a vital and economically viable part of the future. or the backdrop for yet another 1970s TV show remake? I have studied, and continue to study, historic districts. 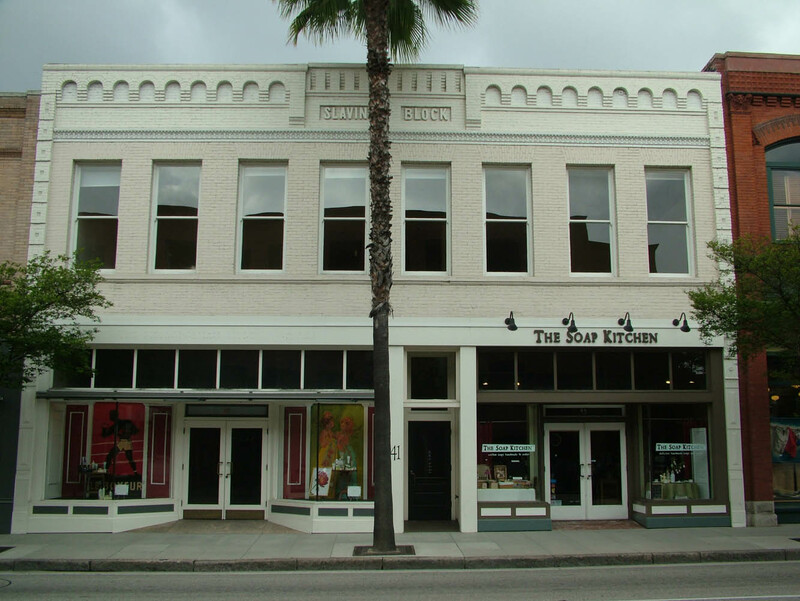 In the history of most historic districts, you find quite clearly that the creation of the historic district – whether local or National Register or both – usually POSTDATES significant rehabilitation activity. First, people invested time and money and enthusiasm into their buildings. 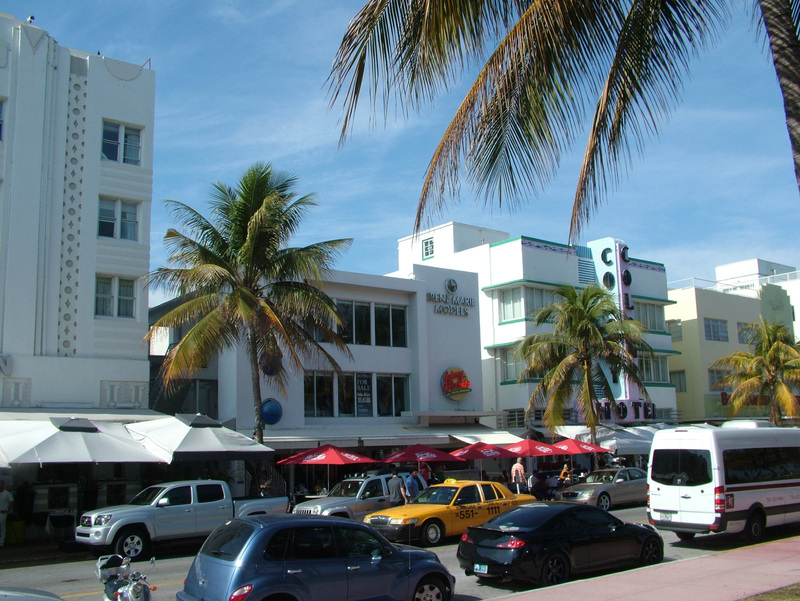 Then, later, the historic district was created as an expression of that previous investment. 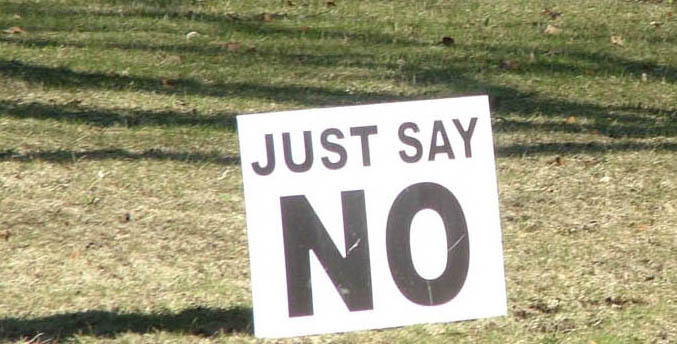 Yes, sometimes, as in the effort to save that neighborhood in Buffalo where the Peace Bridge wants a truck depot, the landmark effort is aimed at thwarting an ill-considered development plan. But such an action never takes place in the absence of a motivated local constituency that values their community. Oak Park is a great example of this. I said it in an earlier post, but the reason my block has so many lovely restored and rehabilitated houses is that PEOPLE WANT THEM. Yes, there is a law should an individual break the bounds of the social/community contract and propose demolition, but the vast majority of investment and rehabilitation is not an expression of the law. The law exists as a fallback, and one which is limited to slowing down demolition, not one which talks about paint colors or acroteria or Scamozzi column capitals. 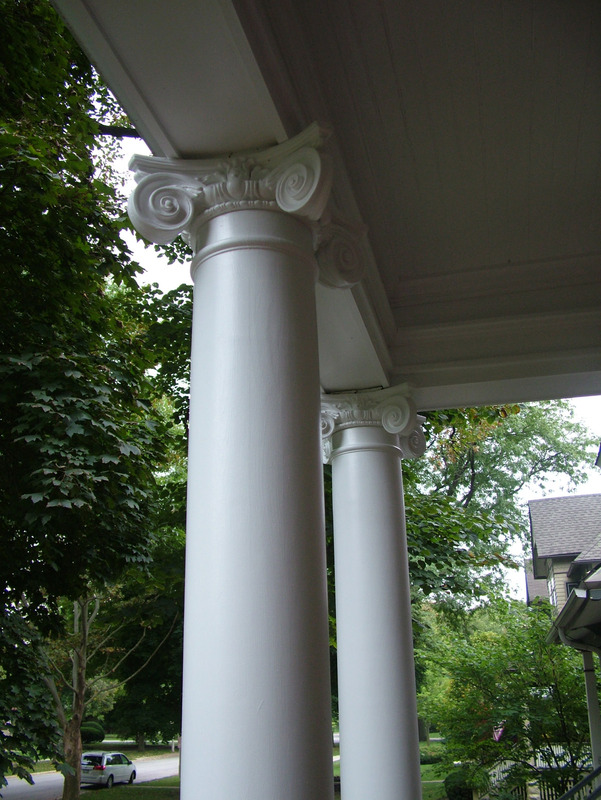 I restored these column capitals because it was really important to me. The Landmarks Commission thought it was a great idea, but they had no grounds to stop me if I had kept the godawful metal replacements that had been put there a generation ago. 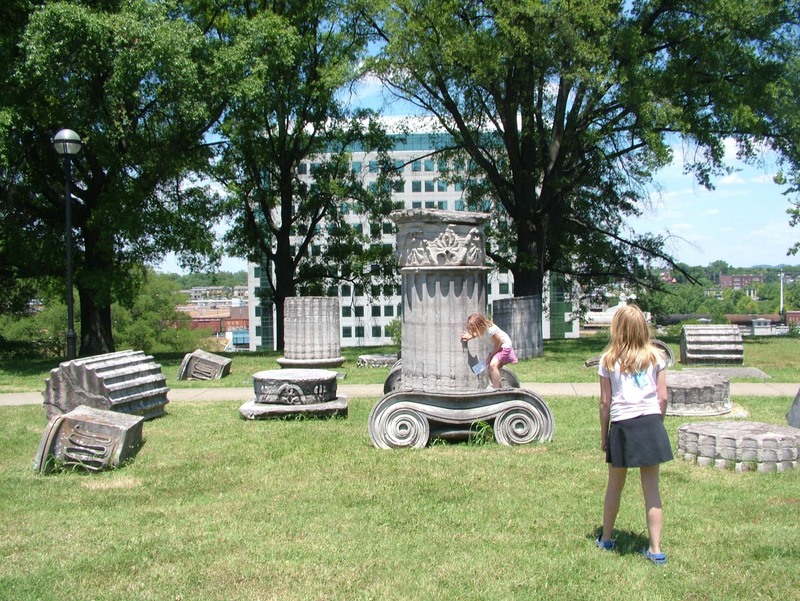 Indeed, I could still have gotten a preservation tax incentive WITHOUT restoring these columns, as long as I did not wantonly dispose of other, still serviceable, historic features. 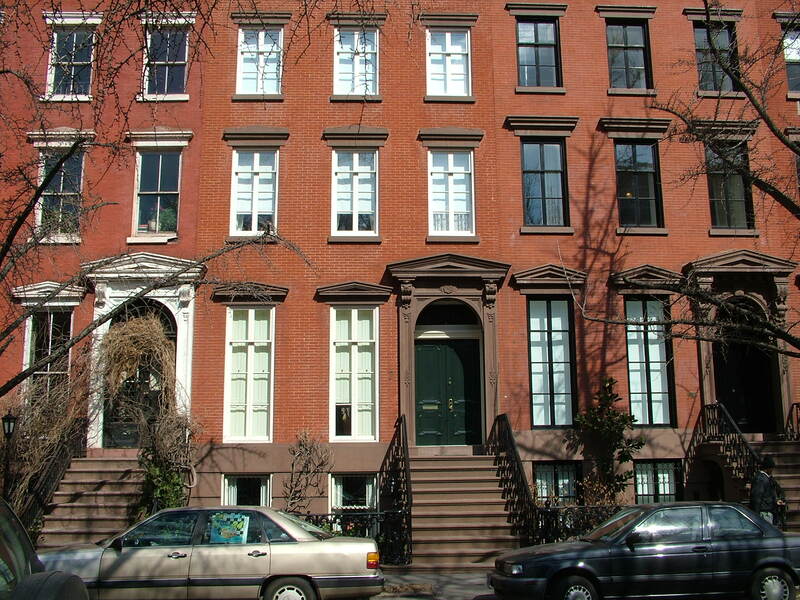 In my research I found that preservation happened in places like Greenwich Village for almost three generations before there were any laws to enforce it. There was a rash of rehab there in the 1910s and 20s, some of which altered buildings in ways we might not agree with today (see the post about Andrew Dolkart’s book here.) There was another wave of rehab in the 1930s, by renters, NOT owners, which causes problems for those who assume only an owner has an economic interest in real estate. The area didn’t become a landmark district until 1969. I found the same pattern in Chicago’s Old Town, which was beset by rehab in the 1920s and again in the 1960s, before SEEKING and getting local landmark designation in the 1970s. 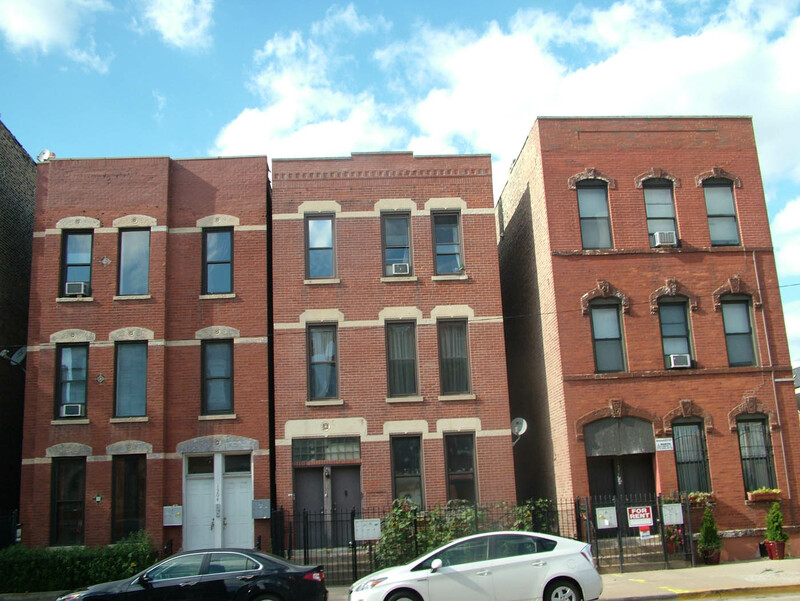 I have watched a whole lot of historic districts get created in Chicago over the last three decades and in no case did the community oppose the district. 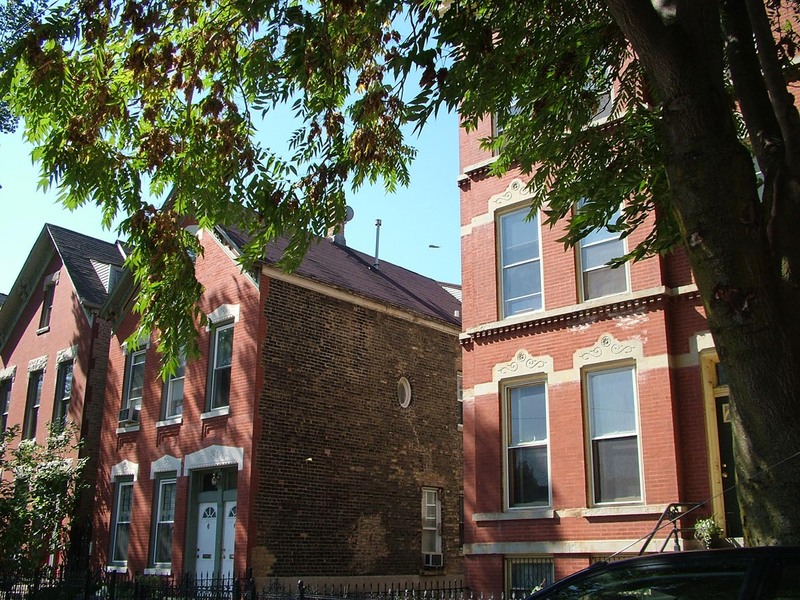 Yes, there is a lawsuit against the Chicago landmarks law brought by owners in two historic districts, but they are clearly in the minority, attempting to use the judiciary to overcome the legislative will of the people. However you slice this issue, the fact remains that the majority of preservation happens because owners and renters and community members WANT it, not because there are laws. This fall for the 17th time I will teach a course called Preservation Planning. This course deals with the intersection of a host of urban planning issues: surveys, politics, law, economics, public relations, etc. 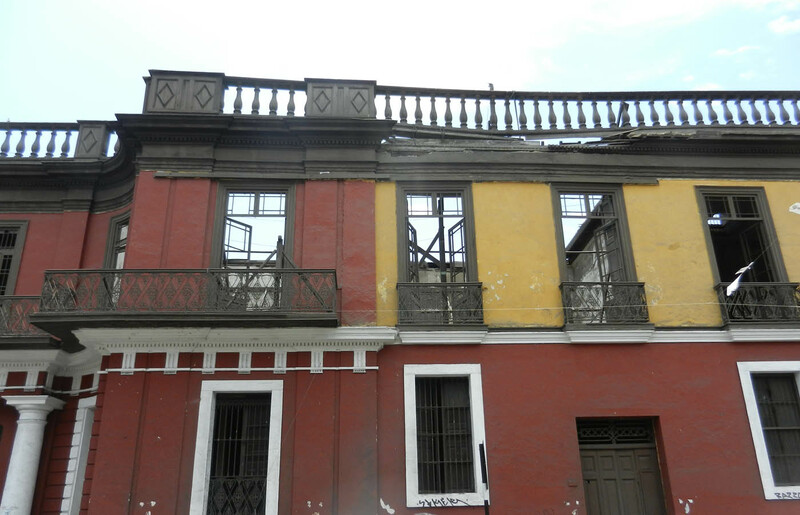 ; and the preservation of historic buildings. It is not about planning a preservation project, and there is also a contradiction in the title, because in a very real sense, you CAN’T plan preservation. In my 28-plus years in the field I have been through many organizational spasms that attempt to inject regularity and predictability into the task of saving buildings and then repurposing them for the future. Invariably we say “we have to stop spending all of our time putting out brush fires,” which means that we are always REACTING to crises. We get tired of being reactive. This is a normal impulse – we want to be able to work proactively and we want to be able to plan and allocate our work more efficiently. These are laudable goals and often the efforts are productive. But at some level they are designed to fail, because at some level the preservationist/heritage conservationist is a firefighter. A firefighter can plan ahead by having the best equipment, a comprehensive survey of the surroundings, and extensive training. But a firefighter cannot predict when and how a fire will break out. Some organizations are formed to save a specific building, and thus their mission over time moves from firefighter to custodian, a position that can be planned and organized to a large extent. This is how, for example, historic sites operate. There are of course unexpected occurrences with sites as there are with any buildings, but you can budget your time and personnel pretty well. I have been on the staff or Board of Landmarks Illinois for major chunks of the 1980s, 90s and 2000s, and we have ALWAYS tried to get away from “putting out brush fires” but at some fundamental level, that is our job, and we can’t. Of course we are selective, and focus our efforts on certain battles based on factors like the value of the resource, the extent of local support, money and strategy. 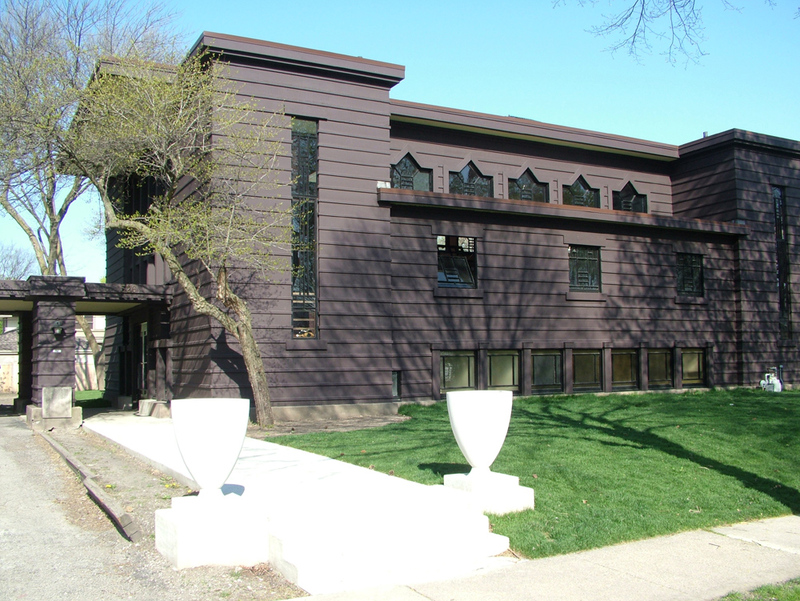 A classic example is the River Forest Women’s Club, which went from being one of Illinois’ Ten Most Endangered Historic Sites in 2005 to the Illinois Preservation Project of the Year in 2008. Focusing efforts doesn’t mean you stop firefighting: it means you select among the brush fires those that are most likely to threaten the larger community, or most likely to result in a significant or irretrievable loss. Since this often occurs in an emergency situation, it is likened to field medic triage, but let’s stick with the firefighting metaphor for now if you don’t mind. 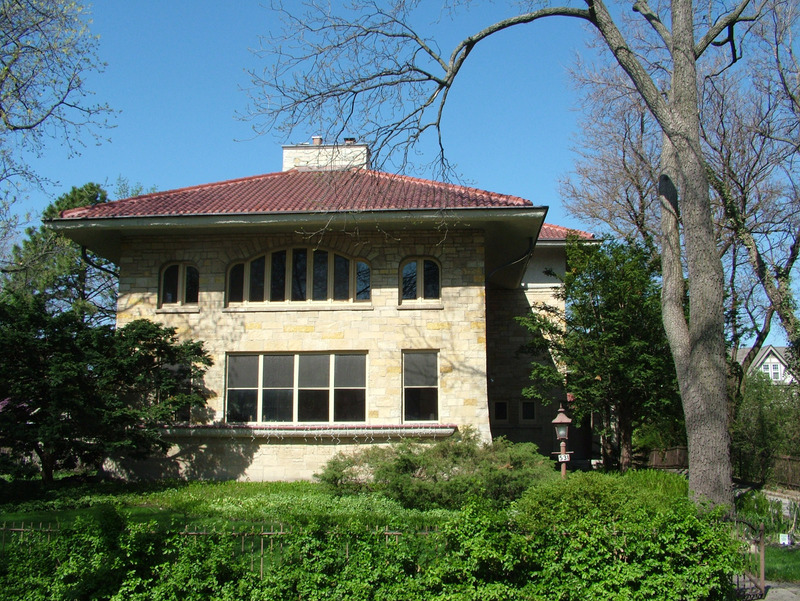 You can stop firefighting and do something else: The Chicago Architecture Foundation was established back in 1966 to save Glessner House, which they did, and then evolved over 30 years into an educational and tourism organization. They don’t fight fires, which is fine, because there is someone else who does. Arguably Landmarks Illinois, as it became more established, did less public firefighting, often preferring to work behind-the-scenes. Into the gap stepped Preservation Chicago, ready to protest out loud in cases when Landmarks Illinois was holding its tongue. The real question for any group is how do you measure success? Number of buildings saved? Quality of buildings, sites or structures saved? 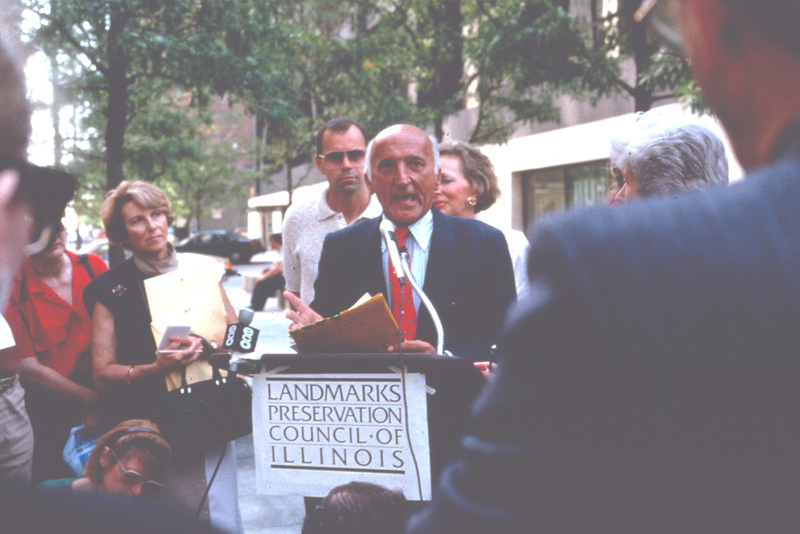 Landmarks Illinois just released its 40 by 40 list – a collection of the most significant preservation successes in each of the 40 years LI has existed. It is a good list and you should check it out here. But I teach Preservation Planning and I think success is more than simply buildings or sites or districts or structures. 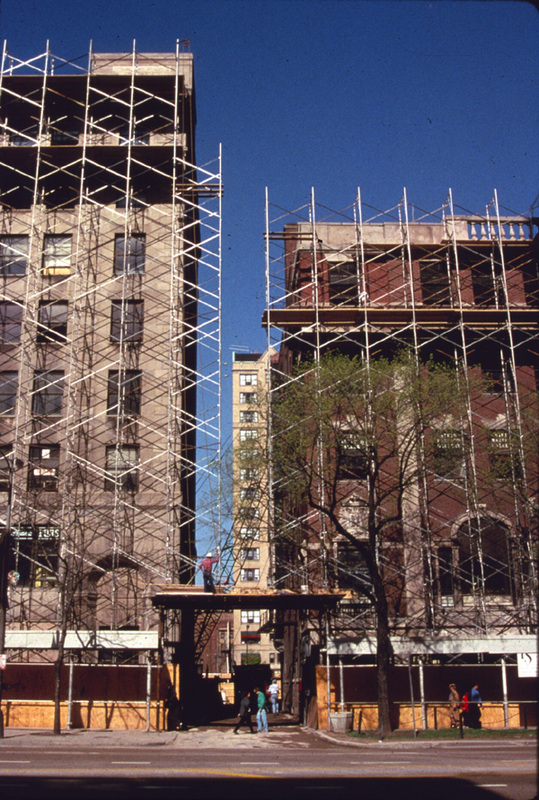 When I was on staff in ’86-’94, we often spoke of the goal of creating a “preservation ethic.” The goal was to get enough planners, developers, politicians and people in general – communities – who shared our belief that old buildings are worth ushering into the future. Then, and only then, would we be able to PLAN for preservation. Because then, and only then, would we have an effective volunteer firefighting force. 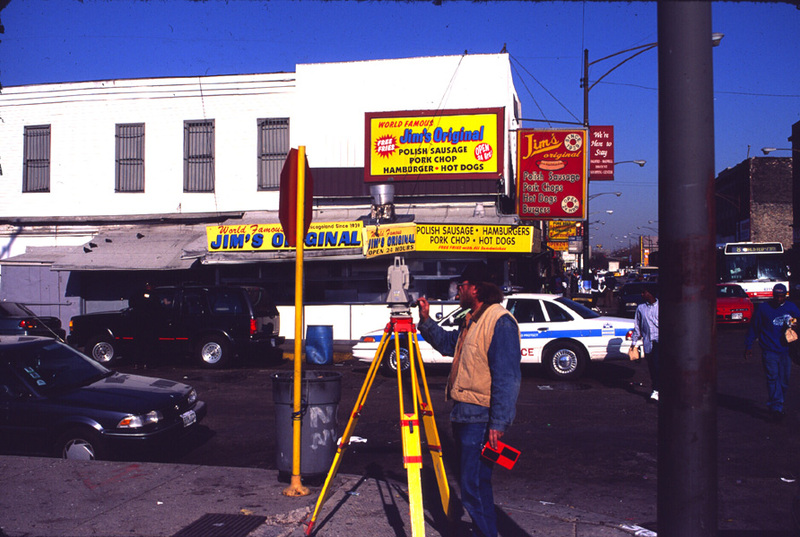 Okay, so a couple years ago a career gadfly and scold sued the City of Chicago claiming the Landmarks Ordinance was vague and arbitrary, the sort of legal challenge first-year law students learn about before they move on to the real stuff. But this is Chicago, and this is Illinois, and three judges at the Appellate level agreed with the charge, mostly based on the fact that the criteria in the ordinance were “vague” because they used words like “significant” and “values” and “importance” which of course caused me to opine and label the whole thing “Appellate Nuttiness” at the time. Now, if you are concerned about a case that challenges your ordinance, you might follow the ordinance in selecting those professionals. But the Mayor fumbled. He named an obstetrician (who delivered the President’s daughters) and a chef to the panel and removed the last architect and architectural historian. This is a fumble in dry conditions without an excuse, and the Tribune’s Blair Kamin has done an excellent job reporting it today here. Architects Ben Weese and Ed Torrez are off the Commission, as is National Park Service veteran Phyllis Ellin and longtime community preservationist Yvette LeGrand. Eleanor Gorski has succeeded Brian Goeken as the Deputy Commissioner and leader of the Commission staff, and she is an architect and Rome Prize winner so that is good. But how will this look to the courts questioning whether the ordinance is “arbitrary” in its application? A chef? 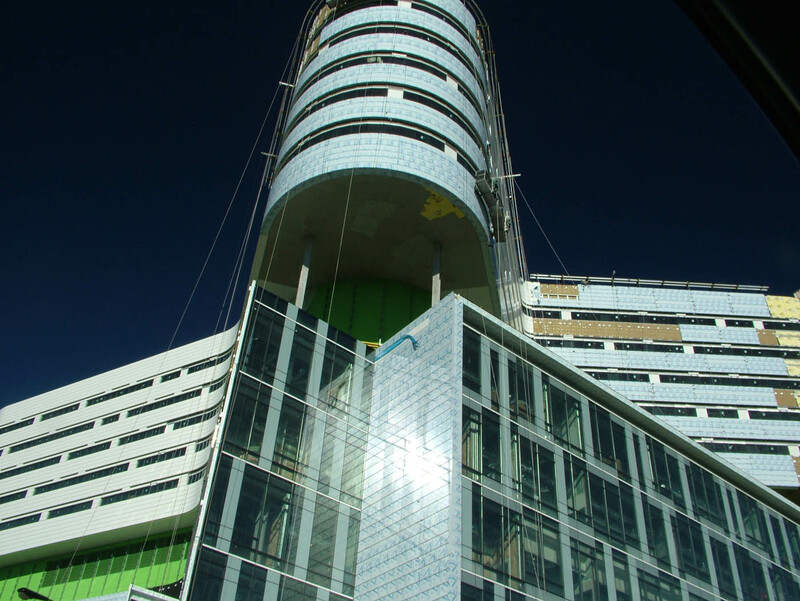 How will the new commissioners deal with Prentice, a triumph of architecture united with engineering, if they are seeing it from the obstetrician’s point of view? JULY 13 UPDATE: Ben Weese – one of the architects sacked from the Commission – sent a REALLY nice letter to the Mayor saying you know, you might want to have an architect on the Commission to like look at building permits and, like, architecture? See Blair Kamin today. It does not look good. 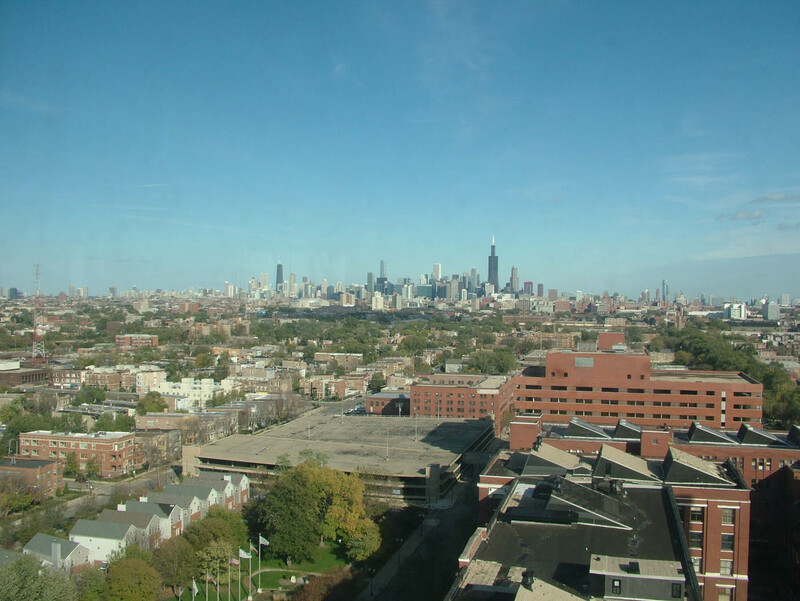 Northwestern Hospital has so much clout that the new Mayor (see last post for what he could have done) and even the Alderman – who asked for a 60-day delay on demolition, and even two of the three architects who developed a comprehensive re-use study for the old (1975 is old?) hospital kept their names off of it. This is a lot of clout. The ability to keep this much of the most valuable acreage between Manhattan and San Francisco off of the tax rolls and have the city thank you for it is A LOT of clout. 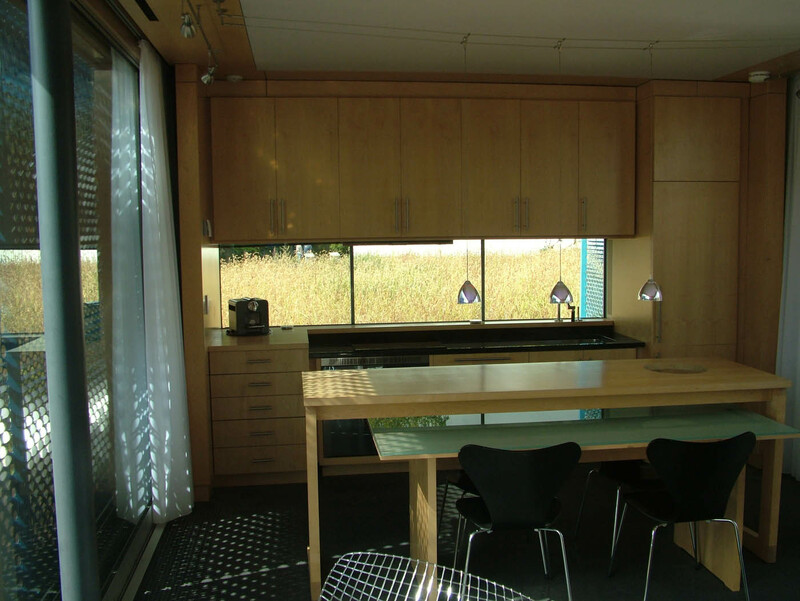 Not only that, but despite the architectural importance of the building – by Chicago icon Bertrand Goldberg, a singular modernist, a veteran of Mies’ Bauhaus who nonetheless charted a different path both formally and theoretically. 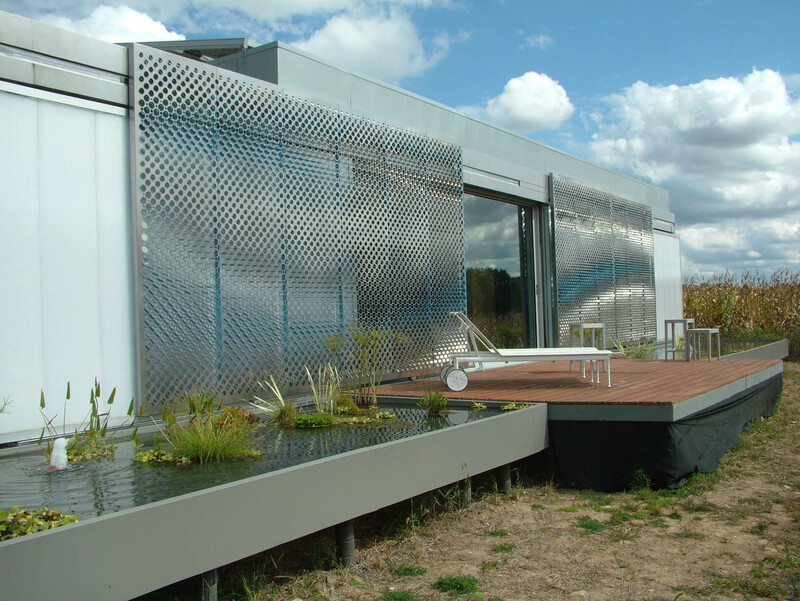 This building is one of the first to use computers in the design, to get that stunning 15m-concrete cantilever without breaking the beautiful curving lines. It is like a flower. Like a flower. 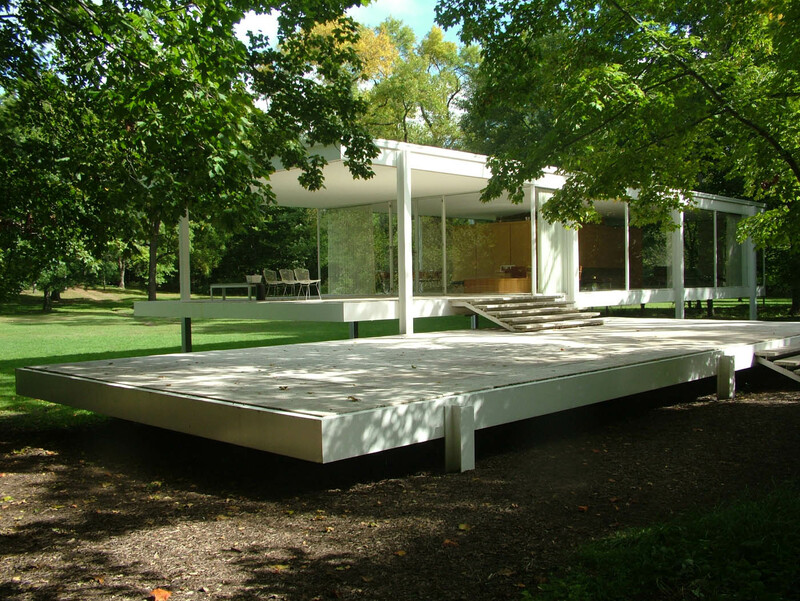 There is a generation that does not “get” this architecture, that is concerned that it is only 36 years old, even though that is EXACTLY the age of 860-880 North Lake Shore Drive (Mies van der Rohe) when the Commission on Chicago Landmarks voted preliminary determination of eligibility. The generation that does not “get” it is unfortunately represented in large numbers in the immediate neighborhood, and I am not talking about inpatients but the local neighborhood group, which did NOT ask for its preservation. 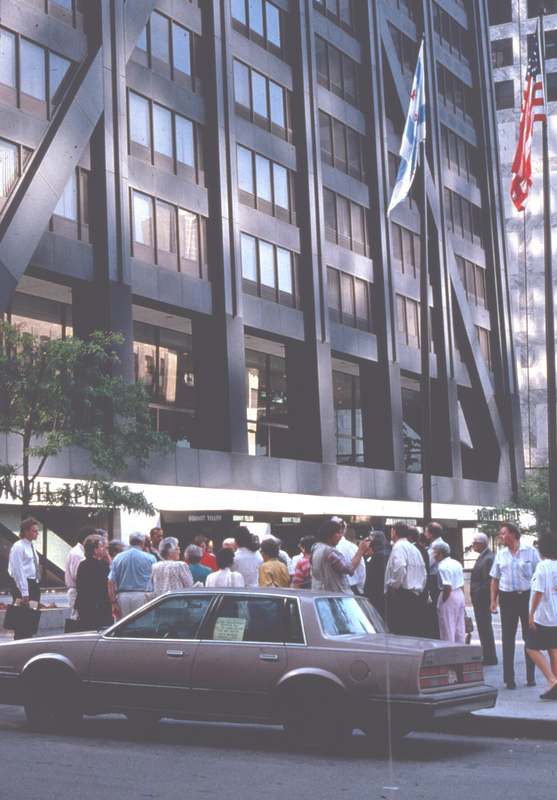 They are called SOAR (Streeterville Organization of Active Residents) and I am a little surprised because they STOOD WITH US 22 years ago to save the John Hancock Building, which was only 21 years old at the time. One of the awful ironies of this situation is that NOTHING is going to be put there if Northwestern gets it way and demolishes the building. I don’t know that it will sit vacant for 19 YEARS like Block 37 did, but I can pretty much guarantee a half dozen. They are planning a green, fenced space. No access, no parking. I suppose that turns down the volume on the lost tax revenue issue. Huge net loss for the neighborhood, though. Blair Kamin of the Chicago Tribune has been great on this issue, as have all three preservation organizations involved. We have gotten support from all around the country, and many are saying that this will be a watershed for the preservation of mid-century Modernism. Maybe now everyone will “get” it, the same way they “got” the Prairie School when the Robie House was saved in 1957, the same was they “got” Victorian architecture when the Jefferson Market Courthouse was preserved in 1967, the same way they “got” vernacular historic districts when Old Town was landmarked in 1977, the same way they “got” the church preservation issue when Holy Family and St. Mary of the Angels were threatened in 1987, the same way they “got” the need for local landmark protection when City Council designated 26 landmarks in 1997, the same way they “got” sustainability as the ultimate preservation modality in 2007. Some may not “get” the beauty, historical value and urbanistic appeal of this building today. but pretty much everyone will within a decade. I have seen it happen many, many times before, as the above litany illustrates. I am watching the same thing unfold here. And if it is lost, it will be important to put down the names of those who demolished it and save those names for posterity. 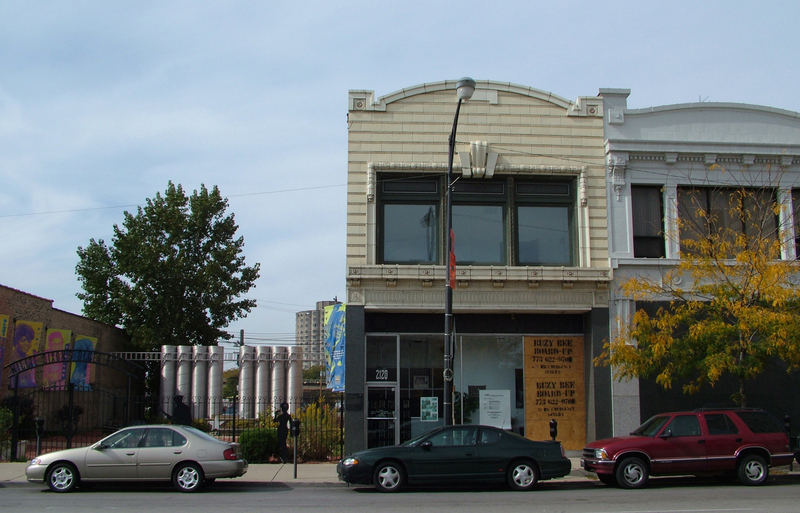 WHAT HAPPENED JUNE 2: Northwestern went into talks with the City and promised not to apply for a demolition permit in exchange for the talks, and no preliminary determination from the Commission on Chicago Landmarks. JUNE 15 UPDATE: Prentice is named one of the 11 Most Endangered Sites in the U.S. by the National Trust for Historic Preservation! 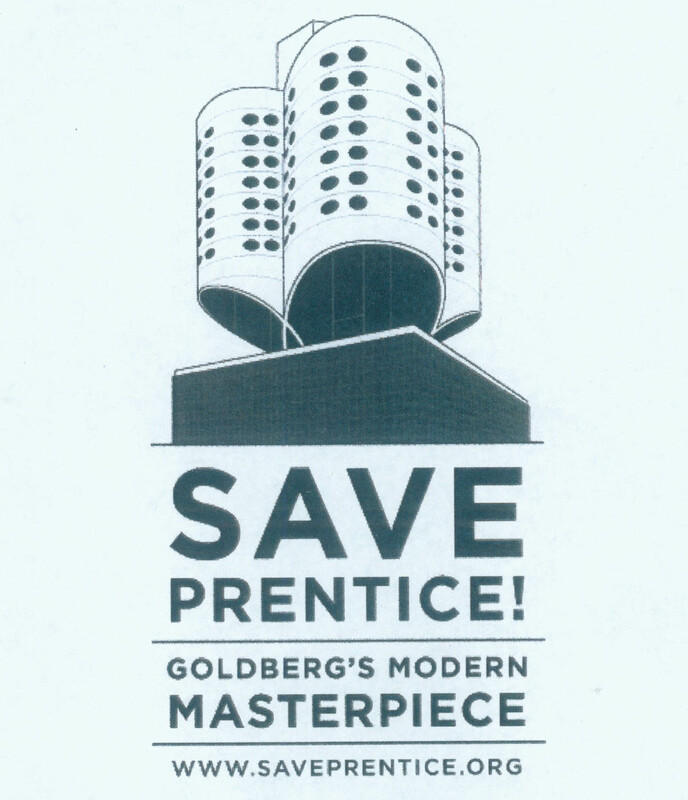 I made the announcement at the Save Prentice Rally today! We made the announcement in front of a full vacant block. Next to another vacant lot half-a-block large. 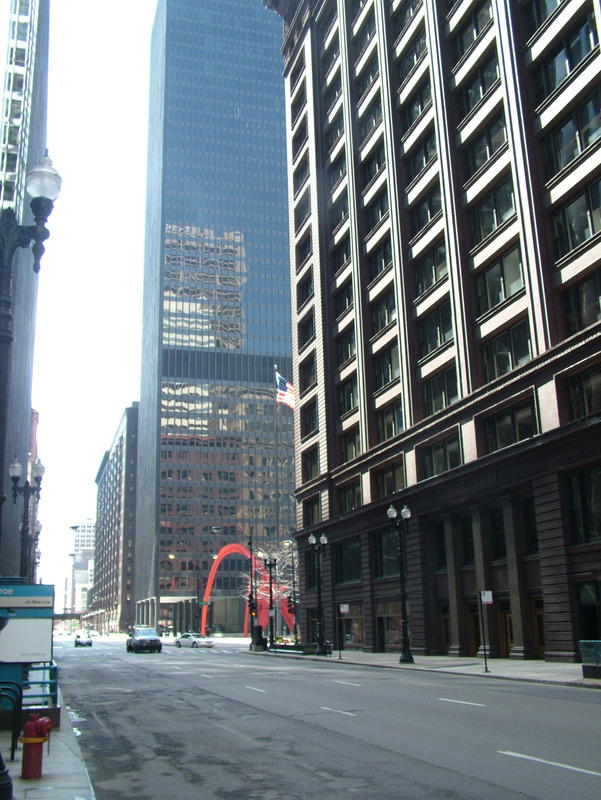 Would you like Northwestern to create a THIRD vacant block in Streeterville? HALLOWEEN 2012: AND THE BULLY WINS! Mayor Rahm Emanuel has sided with Northwestern and demolition. So that does it. I will give the Mayor $5 for every job created on that site prior to his next election, not including demolition and landscaping. Chicago has a new Mayor, Rahm Emanuel, and he spent his first Saturday in office doing something aldermen usually do: expediting permits. It seems the University of Chicago – the city’s fifth largest employer- complained that it was taking them 23 months to get permits for decorative streetlights and various construction projects, so he sat down with them to see if he could cut that in half, approve some sort of master plan and get his city departments to coordinate their approvals. This of course has resonance with anyone who has ever dealt with bureaucracy, which is everyone. But there are a few lessons and a few cautions here. After sorting out U of C’s master plan, Emanuel hopes to do the same with other universities. Make no mistake: universities and hospitals are the ONLY ones building things these days. 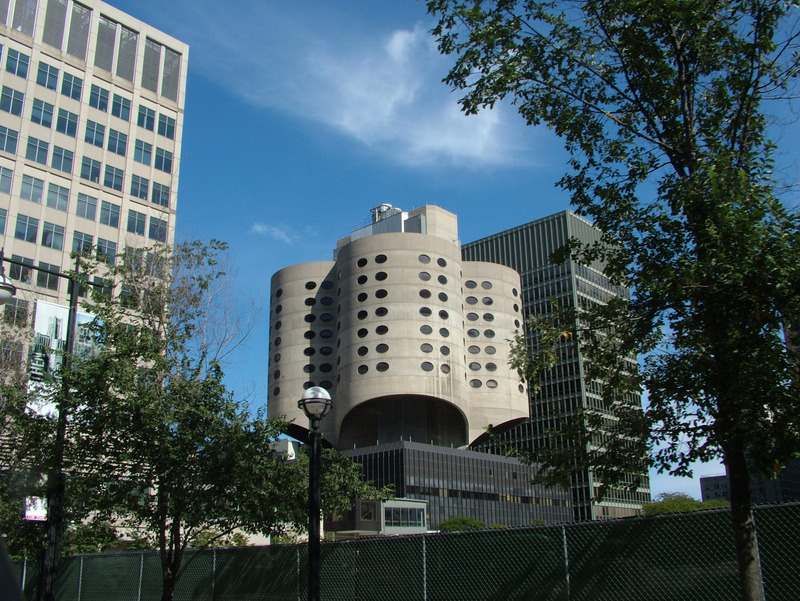 Both types of institutions have a nearly insatiable appetite for land, which means they are the ones threatening landmarks like Prentice Women’s Hospital. U of C has mostly been taking down serviceable sustainable but otherwise undistinguished flat buildings in the area north of its hospital, which has been creeping north from 58th St for some time. So, lessons? One, clout happens. You are a major employer, you get an expedited process, and it does seem that a bureaucracy unencumbered by the demands of a private real estate development market would be able to expedite the needs of the ONLY builders nowadays, hospitals and universities. Caution? Expedited process is often slang for “ignore regulations” which again makes all applicants and would-be applicants happy but could lead to much less felicitous results for the community as a whole, for the urban environment, and most pointedly, for the future. Moreover, approval of master plans might mean the loss of certain historic buildings, approved well in advance of the financing needed to replace them. No building and its embodied energy should EVER be demolished for speculation: only when financing is in place. 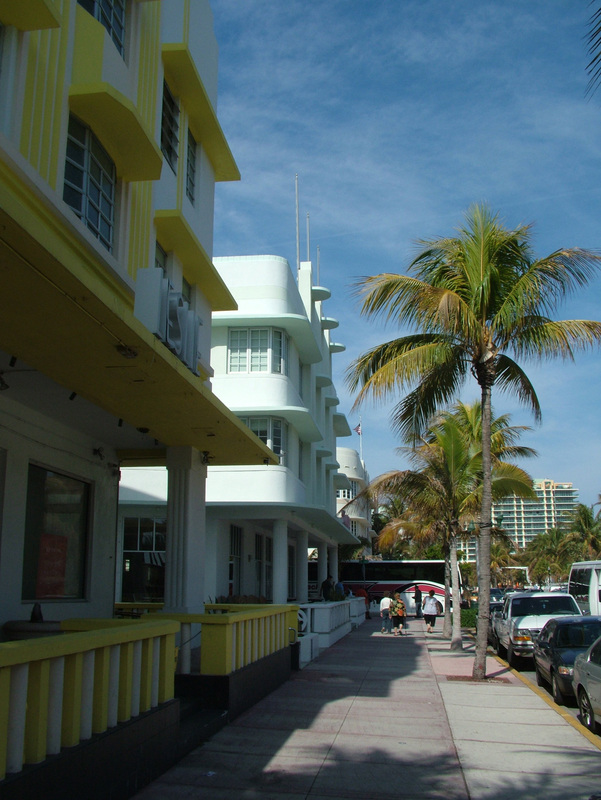 On the flip side, approving master plans could mean preservation of key landmarks. Emanuel has a golden opportunity here with Northwestern, sitting on the most valuable untaxed land in Chicago. 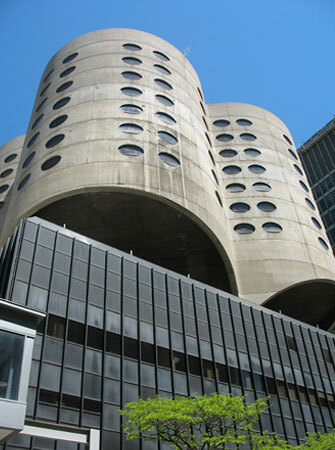 He could approve a master plan that saves Prentice Hospital, expedites Northwestern’s process for their so-far imaginary research center, and perhaps trades them some land for the Prentice site, which could be rehabbed with tax credits and put back on the tax rolls. You are currently browsing the archives for the Chicago Buildings category. 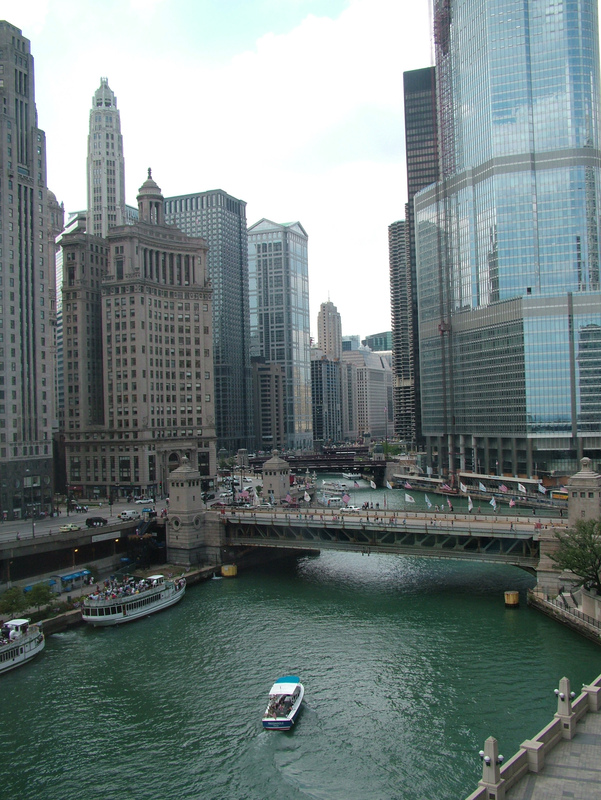 About Historic Preservation, History, Heritage, Landmarks in Chicago and the rest of the world and the technotempo of current times and past times.